74.1 Olgrea - H - Megaships Demeter Class Agricultural Vessel DGL-436 (*moving). See this image. 302.0 HIP 113895 Explorers Planet 2 is a rare large aptmosphereless (and landable) planet, 20764 Km in radius. 309.5 HIP 16813 - M - Asteroid Stations Sisters&apos; Refuge An asteroid station, 3,557 Ls from the entry star is within the ring of planetary body A 1. The system is located about half way between the Pleaides Nebula and the bubble. See this gallery for some pictures. There is also a PMR ring (planet B1) in the same system, but it is a short trek, about 204000 Ls (10-15 minutes) from the main entry star. 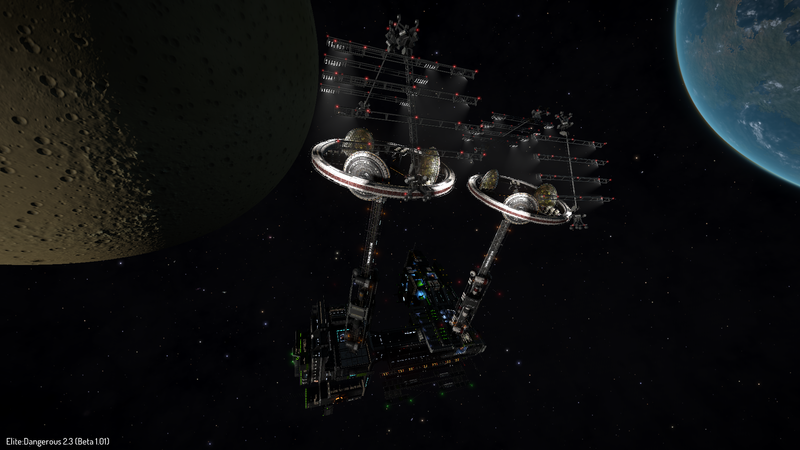 The station has full RRR services and unusually for a remote(ish) station, a Shipyard. Also shown in this video. Sources(s): TankMaster. 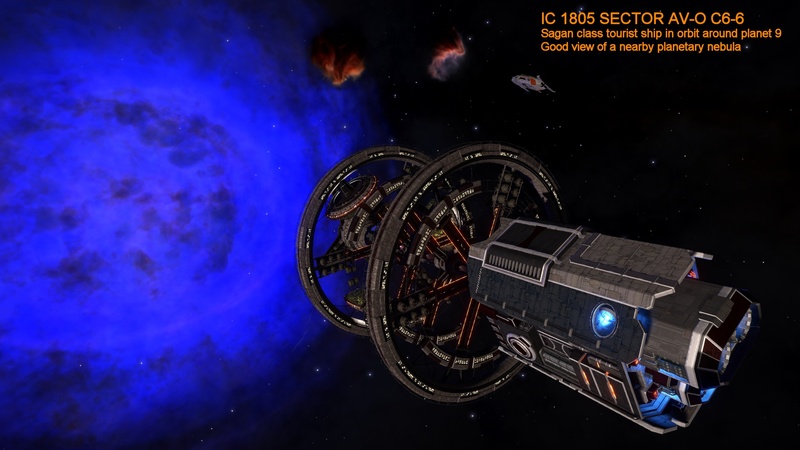 315.1 BD+22 4939 - L - Explorers Another remote system, about 130 Ly from the bubble. 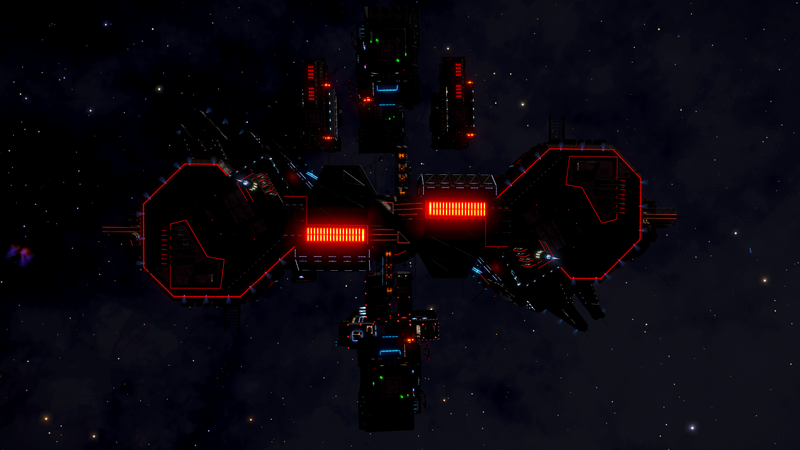 There are some other inhabited systems around this one but only 1 other contains a station with docking facilities, the refinery Thornycraft Terminal in Synuefai LC-C B46-1. 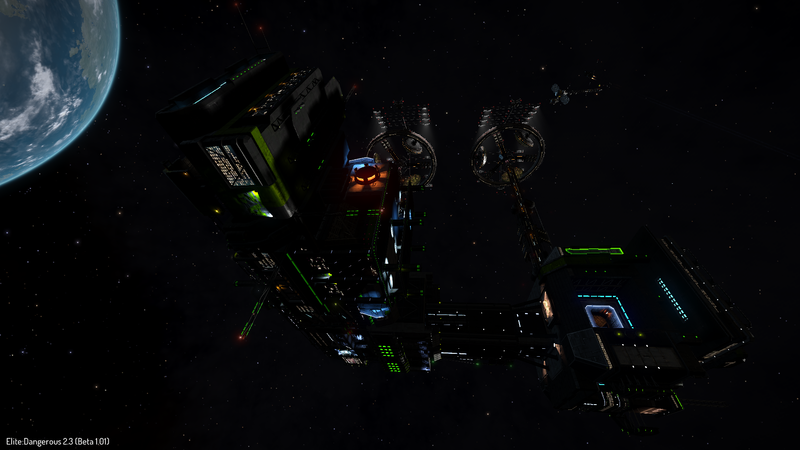 Also in this system is a military station with full facilities. 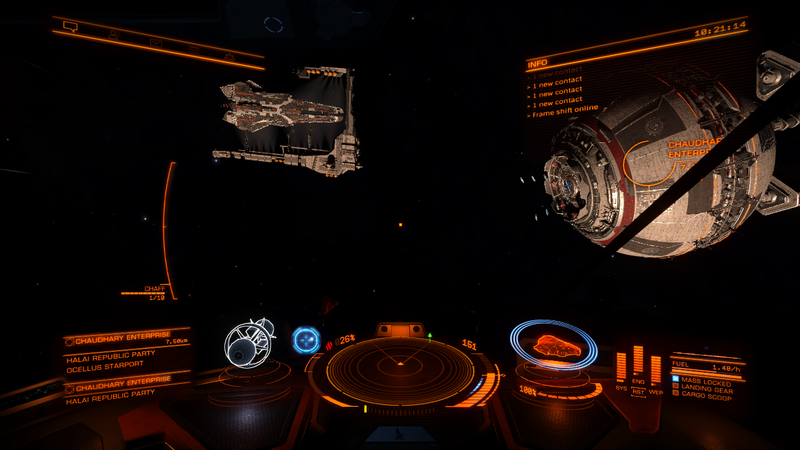 I think this has been taken over by a player faction, the long range smuggling missions are possibly gone. 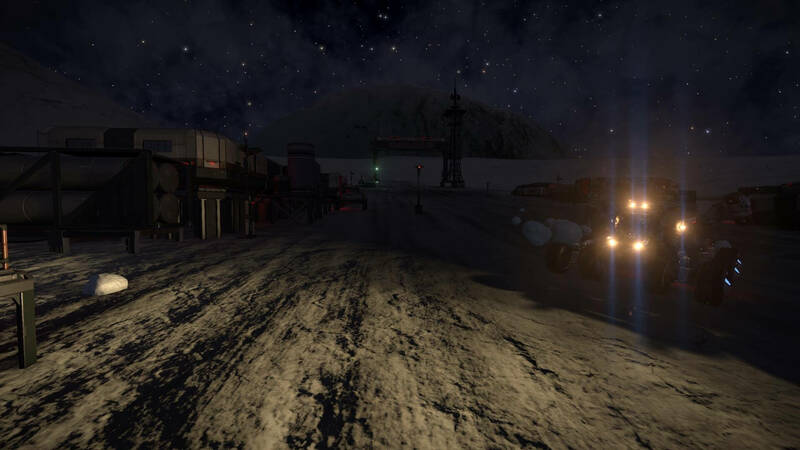 328.5 Aldhibah Abandoned Station 1 A (-12.4996, -62.1916) There is an abandoned planetary settlement, called "Lookout Military Test Facility", on this planetary object. Head for -12.4996, -62.1916. 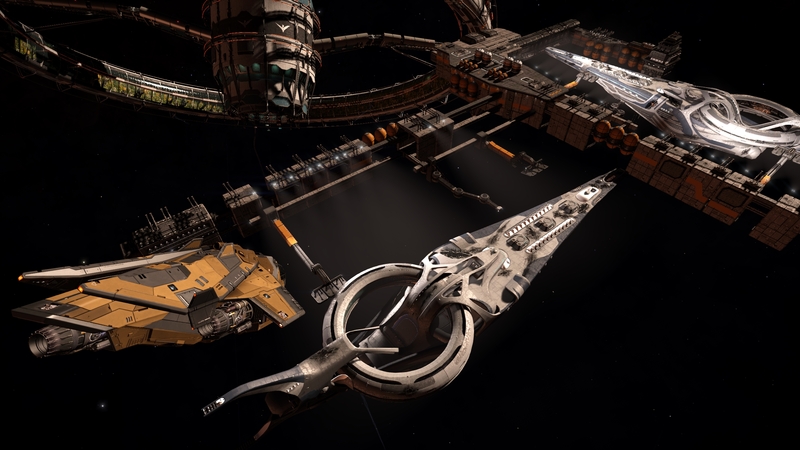 Check out CMDR Scott's Page for more details. 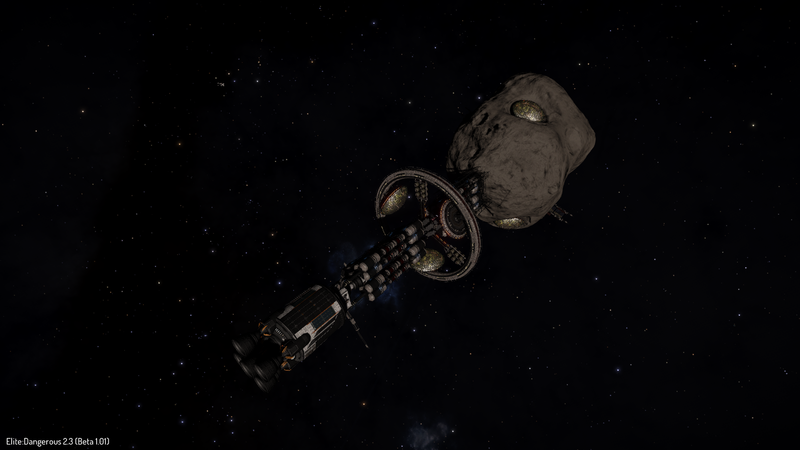 330.4 HIP 83506 - M - Asteroid Stations Harvard Base An asteroid station, 8,624 Ls from the entry star. Shown in this [image]. Sources(s): stocko1111. 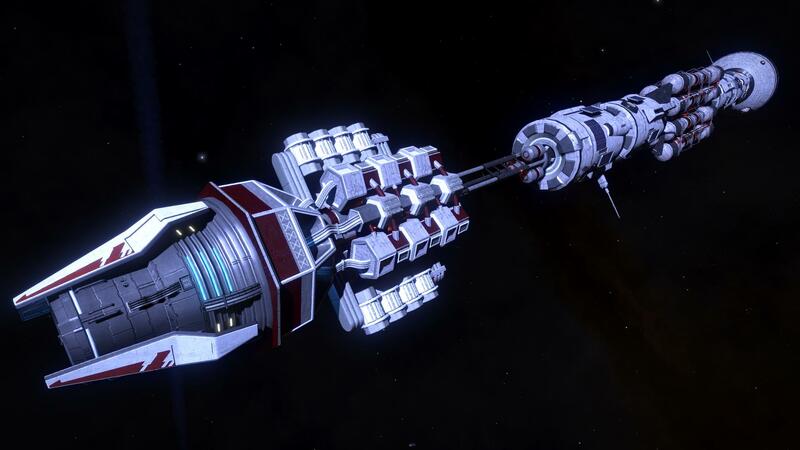 338.0 Pleiades Sector HR-W d1-57 - M - Megaships A 5 Demeter Class Agricultural Vessel KSL-8778. See this image. 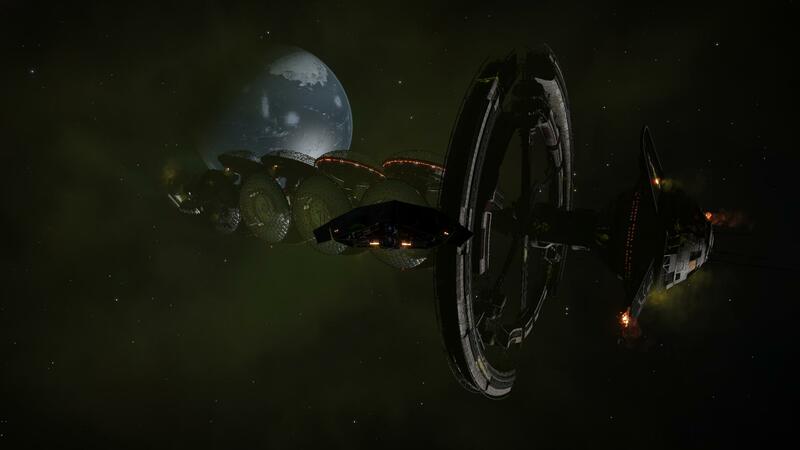 346.6 Pleiades Sector OI-T c3-7 - M - Alien Hunters A6, -42.7782, -21.7144 Original location of an alien encounter at a barnacle site. 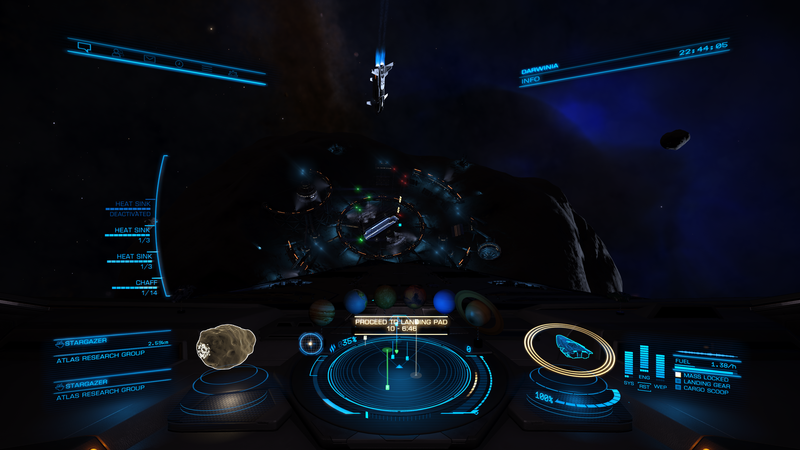 I also had an alien/thargoid encounter here. 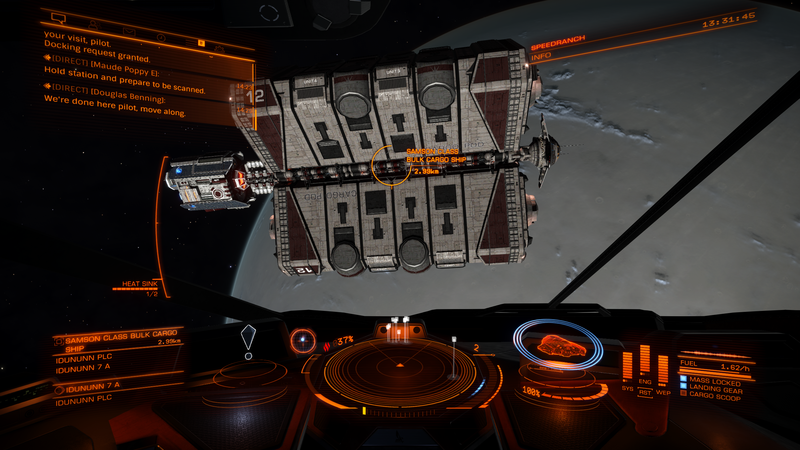 There are 2 other barnacle sites, in this system, known for Alien encounters. 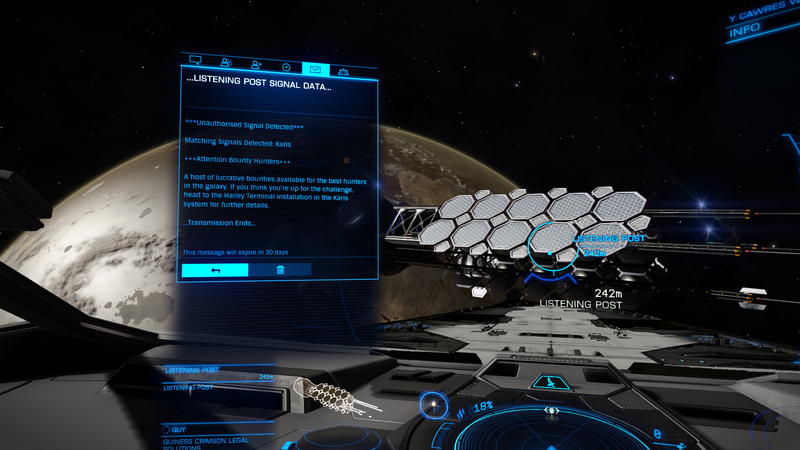 One here -47.4533, -18.4075 and one here -41.3795, 67.1302 Note that I had 3 encounters with the Thargoids at this planet, however it only has 1 Meta Alloy that can be harvested. The barnacle fronds can be harvested for synthesis materials, these seem to be readily available: Iron, Carbon, Sulphur, Phosphorus, Germanium, Manganes, Chromium and Nickel. You can also harvest these barnacles for Meta-alloys. Best to sell Meta-Alloys at Darnielle's Progress to get the highest price (around 115000 CR each). Don't destroy all the barnacles fronds as I believe that kills of the site completely, but mode switch and collect as much as you need. 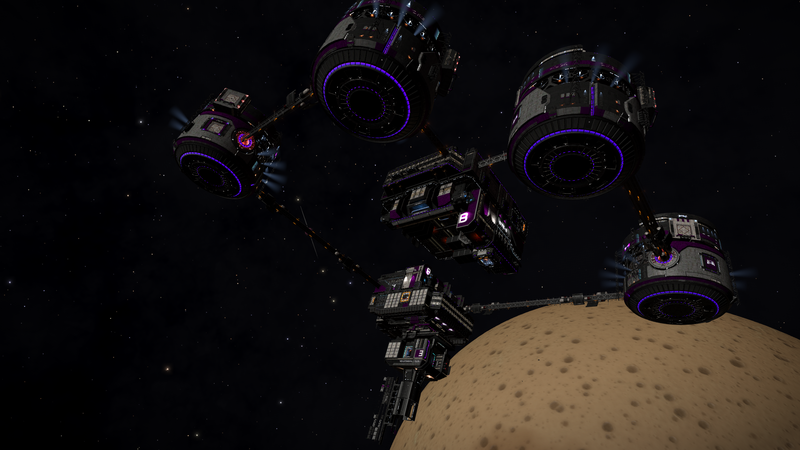 349.0 Col 285 Sector FL-X b17-3 Surface structures A2 A (lat: -59.3, lon: -142.5) Medical Test Facility MIR-14. See this image. 349.5 Wregoe JI-B d13-130 - A - Abandoned Station Body 1 at 65.837708, 176.946 There is an abandoned settlement here, called 'Site 426', on planetary object 1 at 65.8377, 176.946. See this Canonn link. 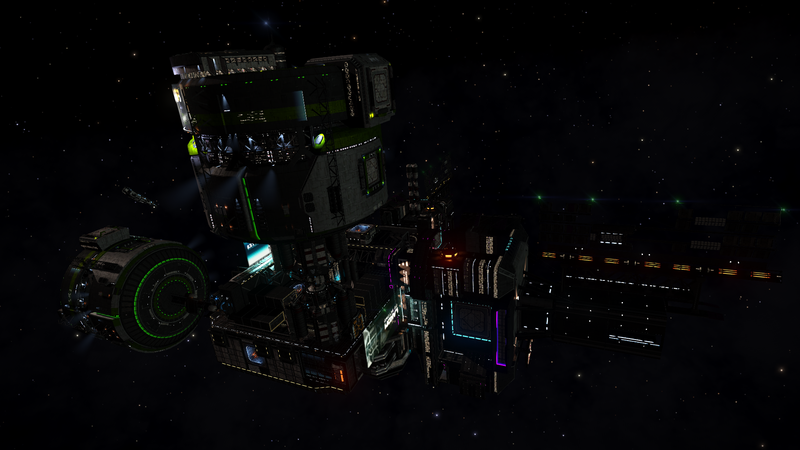 Like Dav's hope, engineering materials spawn here although it is not as well known. 350.0 WASP-77 A Hi-g-Landers WASP-77 A 1 High g planetary landing challenge. Planet 'WASP-77 A 1' (12 Ls from arrival star) has a gravitational pull of 7.94079g, that is 7.94079 times that of earth. Try to land without splatting your spaceship. 355.6 Pleiades Sector LN-S b4-3 Alien Hunters Planet C 3, -13.1651, -54.358 Another location for an alien encounter at a barnacle site. This time a potato planet. The barnacle fronds can be harvested for synthesis materials, these seem to be readily available: Iron, Carbon, Sulphur, Phosphorus, Germanium, Manganes, Chromium and Nickel. You can also harvest this barnacle pair for Arsenic, Tin and Tellurium and of course Meta-alloys (this pair has 5). Best to sell Meta-Alloys at Darnielle's Progress to get the highest price (around 115000 CR each). Don't destroy all the barnacles fronds as I believe that kills of the site completely, but mode switch and and collect as much as you need. 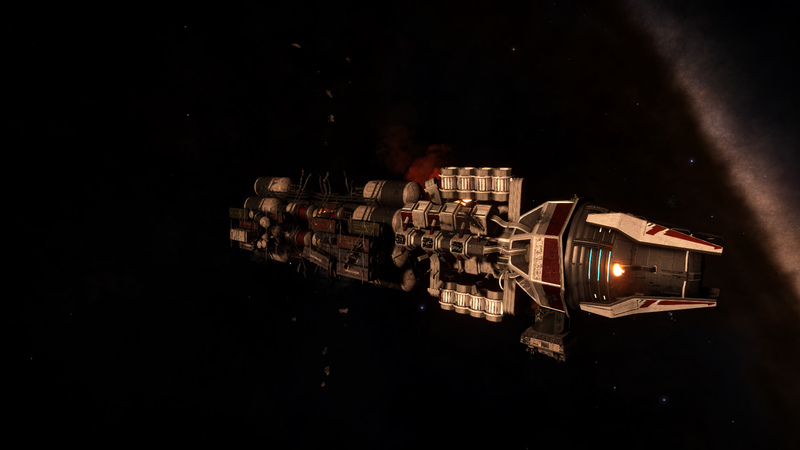 357.2 Pleiades Sector IR-W d1-55 - M - Megaships The Oracle Samson Class Bulk Cargo Ship BTG-237 (attacked). See this image. 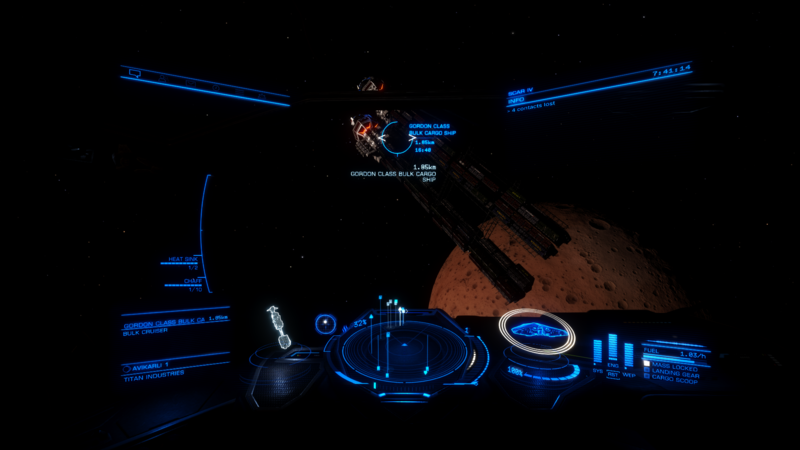 358.9 Pleiades Sector IH-V c2-5 - M - Megaships 1 Thomas Class Bulk Cargo Ship DFX-056 (attacked). See this image. 366.5 HIP 17692 - M - Asteroid Station A4 Blackmount Orbital. See this image. 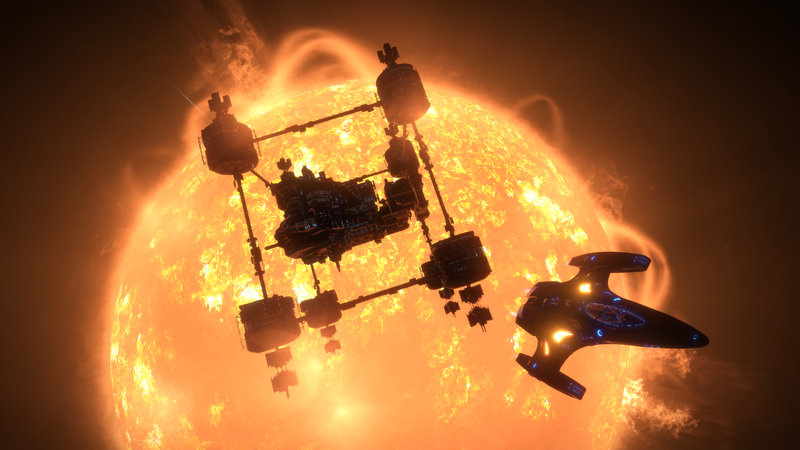 380.2 Merope - M - Alien Hunters A pretty system in the Pleiades nebula close to the inhabited system of Maia. 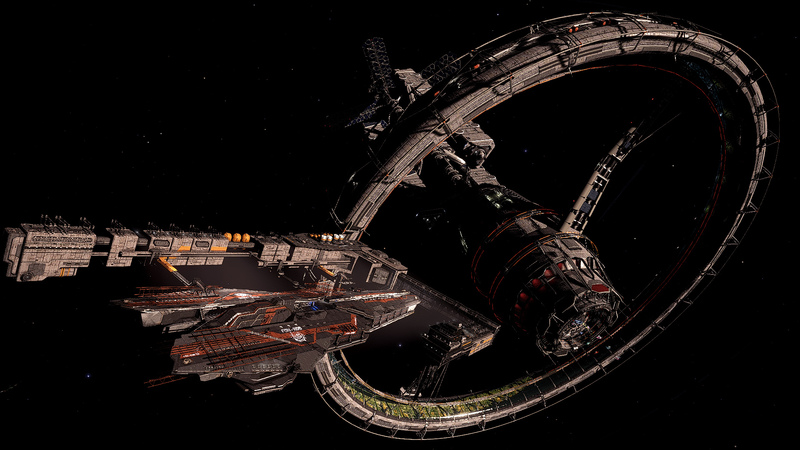 It has 2 pristine metallic rings but is most well known for being the centre of the Unknown Artifact mysteries. 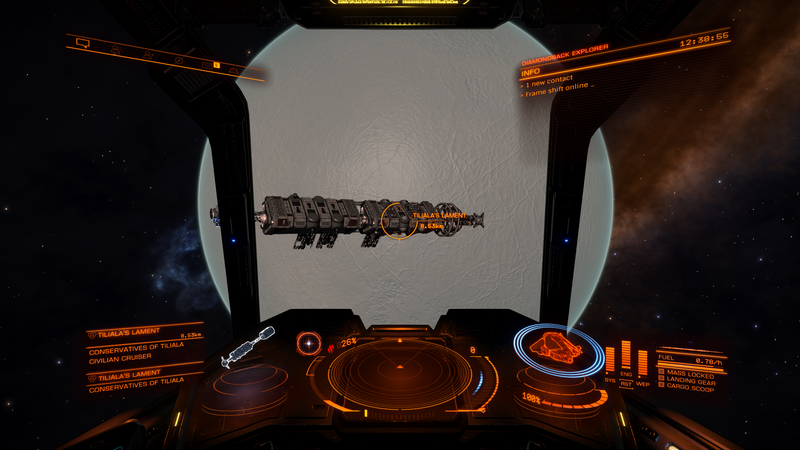 380.6 HIP 16613 Wreckage 1 A (lat: -11.0093, lon: -95.6755) A wrecked Anaconda. Very similar to the Anaconda wreckage in Orrere. 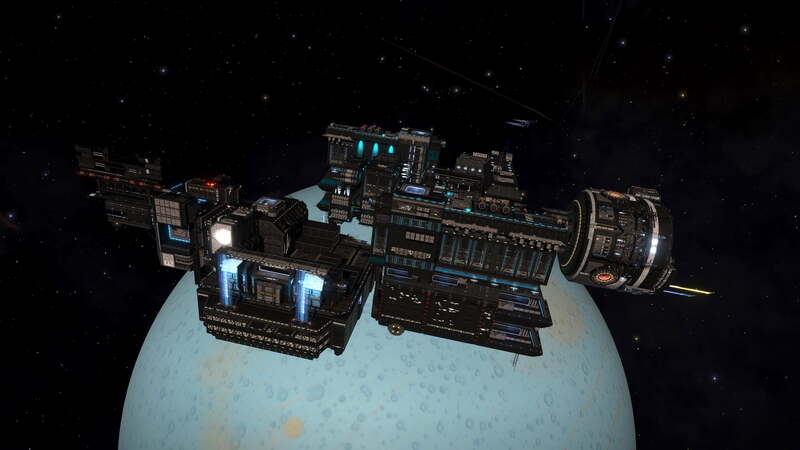 382.0 Pleione - L - Asteroid bases Stargazer. See this image. See this video. 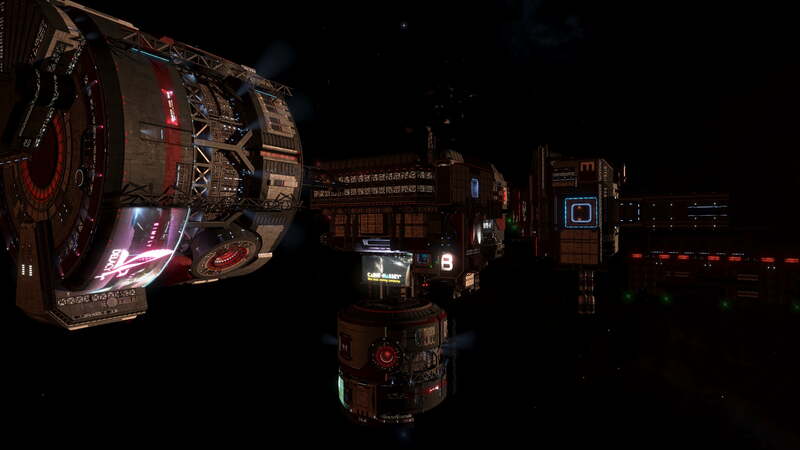 386.9 HIP 83237 Surface structures 3B (lat: -26.40, lon: 143.69) Site 16 surface installation. See this image. 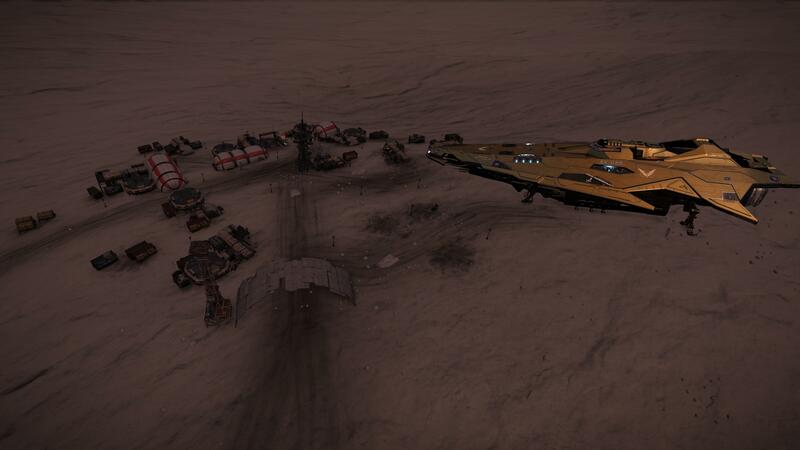 398.8 HIP 17862 Alien Wreck An alien ship wreckage with a few Unknown Artefacts scattered around. 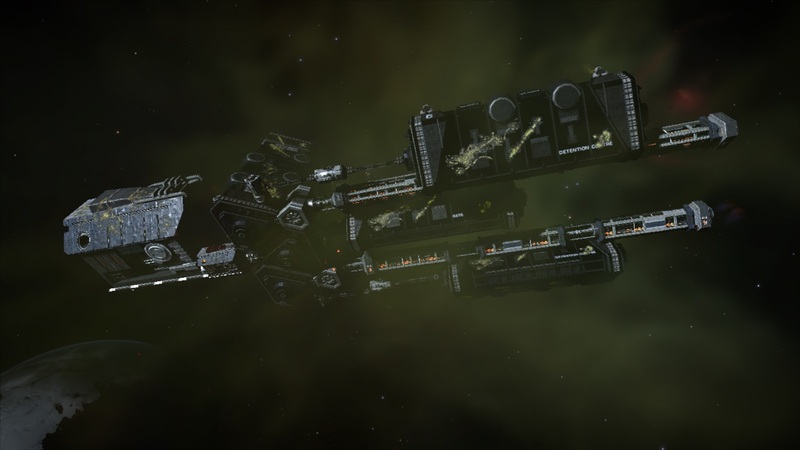 There is also a wreckage of an SRV. Planet 6CA at coordinates 30.33, -98.58. See this Cannon thread. 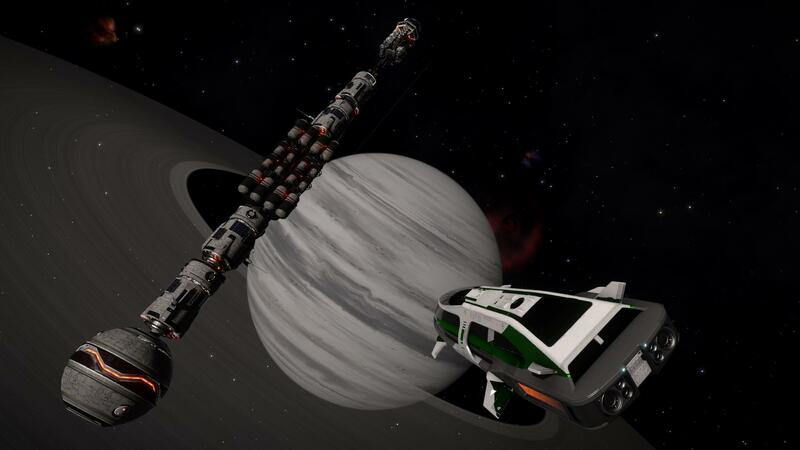 Found by CMDR Denneb. 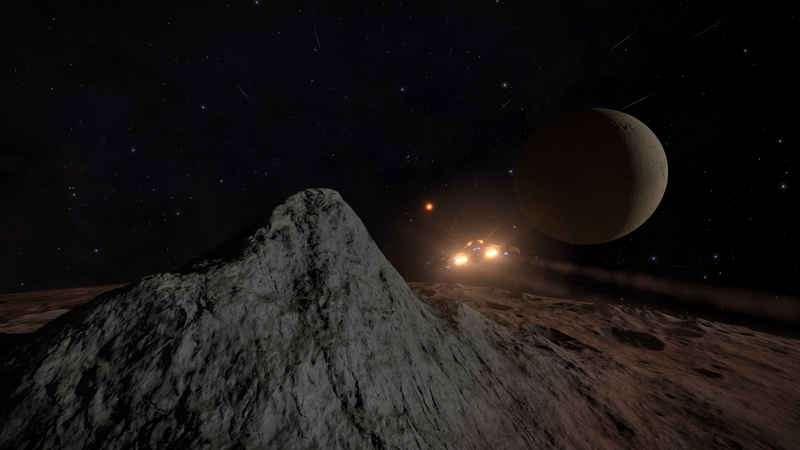 This site is not far from Maia. 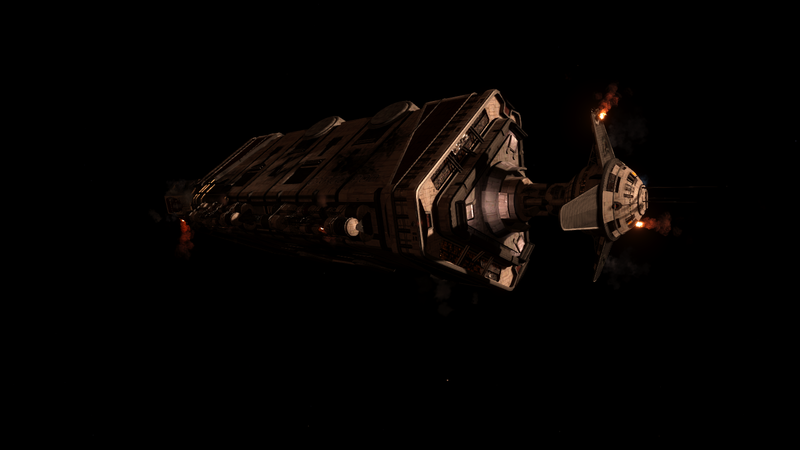 402.7 HIP 17225 - M - Megaships A 2 Aquarius Class Tanker ALF-895 (attacked). See this Canonn Page for more information. 404.7 Electra - M - Space installations Zeta 12 Communications Hub. See this image. 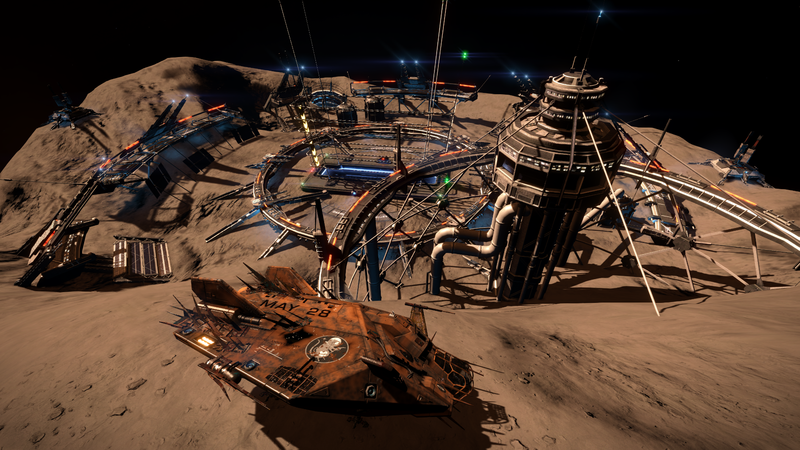 405.2 HIP 16378 Wreck 3 b at 37.0654, -147.8092 There is the site of the wreckage of the 'Stargazer'. 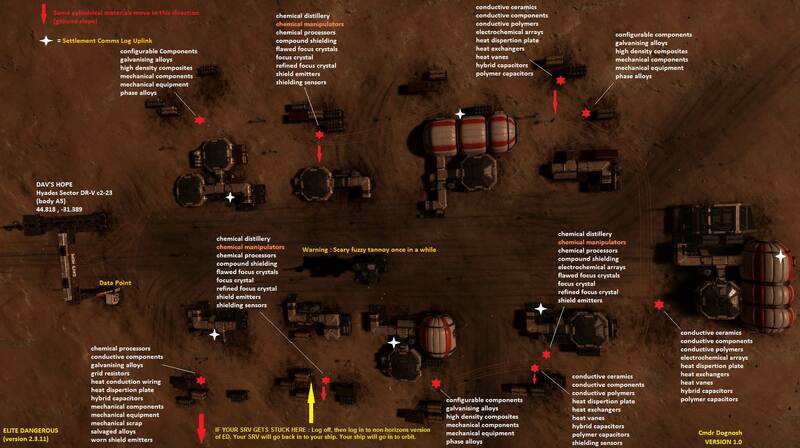 I found the area around the wreckage, within a large crater, to be rich in Niobium. See this gallery page for more details. 411.3 HIP 17403 Alien Wreck Another alien ship wreckage with several Unknown Artefacts scattered around. A very creepy site. 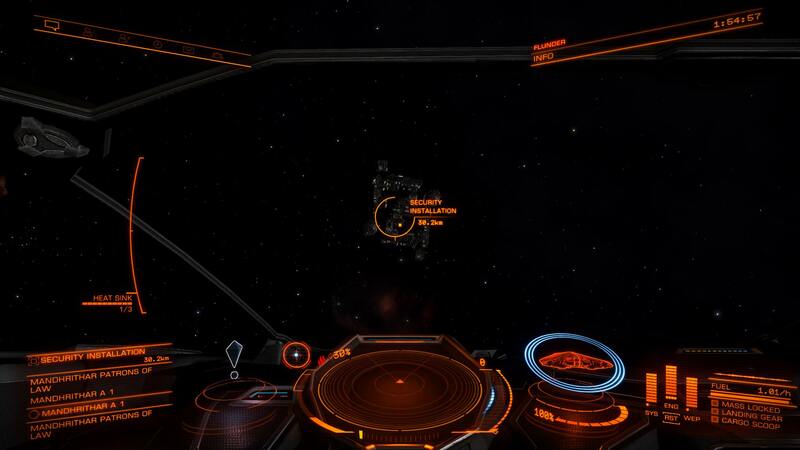 Planet A6A at coordinates -34.96, -141.37. See this Yo-Tube video. 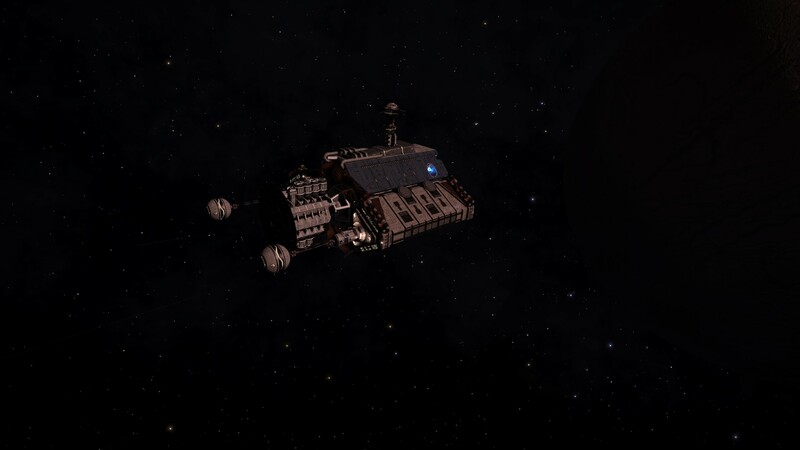 This site is not far from Maia. 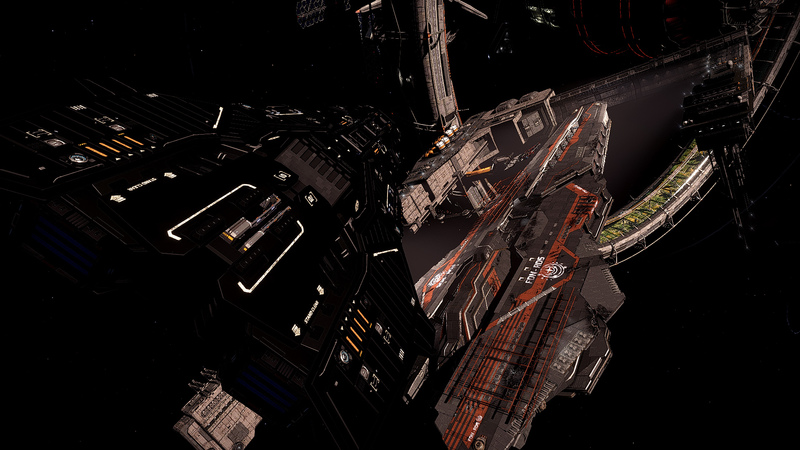 420.3 HR 5906 Surface structures AB2 (lat: 6.9201,lon: -102.4340) Derelict Anaconda Settlement. 421.5 Pleiades Sector AB-W b2-4 - H - Alien Wreck Alien space ship wreckage. Planet 9A at coordinates -26.3772, 97.6982. See this Cannon thread. 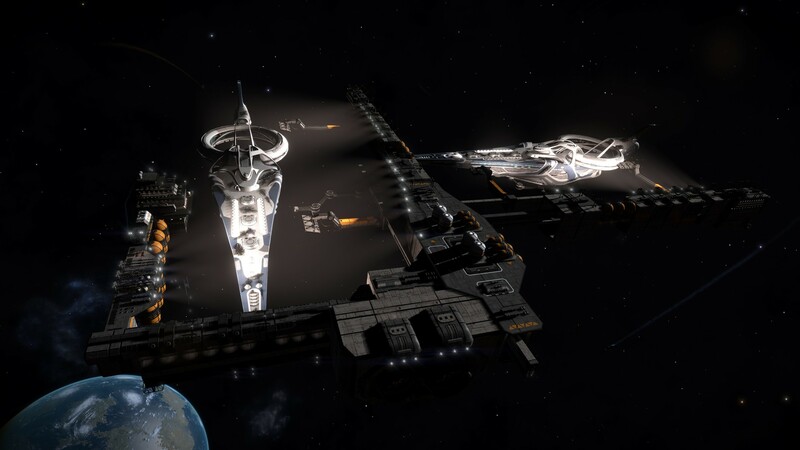 Credit to CMDR Nochtrach, CMDR BALALAIKAX3, and CMDR Ihazevich. 442.0 Pleiades Sector EW-W c1-6 Materials Hunters Planetary object 1, 12 Ls from the main entry star has 2.8% Ruthenium. For other good Ruthenium sources try this EDDB link here. Adding to its worth is the fact that it also has 3.1% Niobium, which is a very high level. 444.6 Mel 22 Sector SK-E b12-1 Alien Hunters Planet 2, 40.8408, -104.0889 A fully active alien structure to explore, that is always in daylight, no fumbling around in the dark. See this gallery. 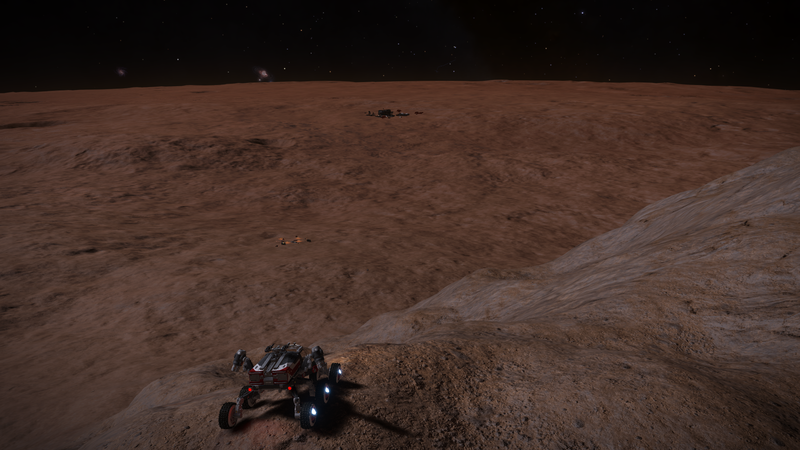 484.6 HIP 42726 Hi-g-Landers HIP 42726 A 5 High g planetary landing challenge. Planet 'HIP 42726 A 5' (470 Ls from arrival star) has a gravitational pull of 6.439775g, that is 6.439775 times that of earth. Try to land without splatting your spaceship. 489.9 Wredguia JC-K c22-8 Surface structures 6A (lat: -51.7, lon: -144) Colony SN-B 86. See this image. 506.5 Mirphak Materials Hunter Planetary object A 2 is a beautiful velvet red coloured class IV gas giant. All of the moons of this gas giant are metal rich and so well worth a detailed scan. They are also very small, the largest is 210 km in radius. Most interesting of all is the moon A2d which has a very high 3.2% Niobium, one of the highest in the galaxy according to EDDB. It also has Arsenic at 2.2% and Selenium at 3.3%. There is a pod of type B blue stars nearby, including a black hole in nearby 39 Delta Persei. 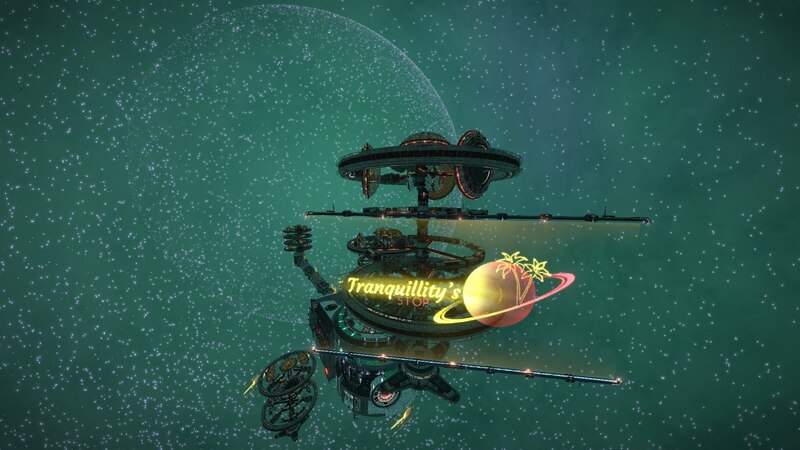 So although it is slightly away from the bubble it is well worth a snozzle. 560.4 HIP 35014 Hi-g-Landers HIP 35014 2 High g planetary landing challenge. 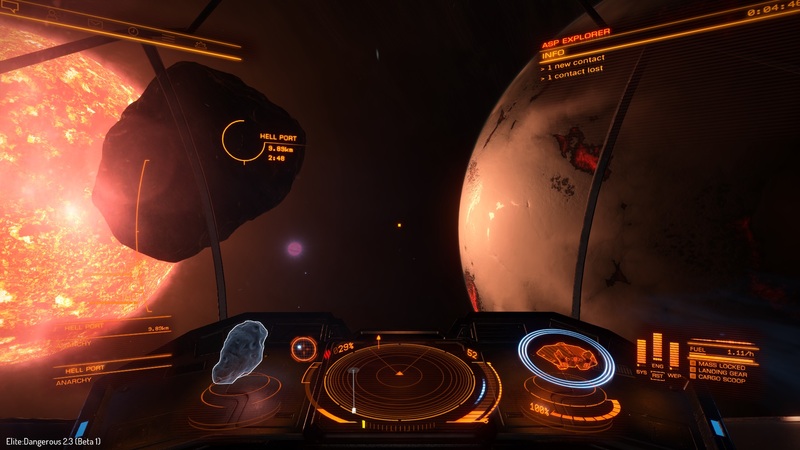 Planet 'HIP 35014 2' (86 Ls from arrival star) has a gravitational pull of 7.537374g, that is 7.537374 times that of earth. Try to land without splatting your spaceship. 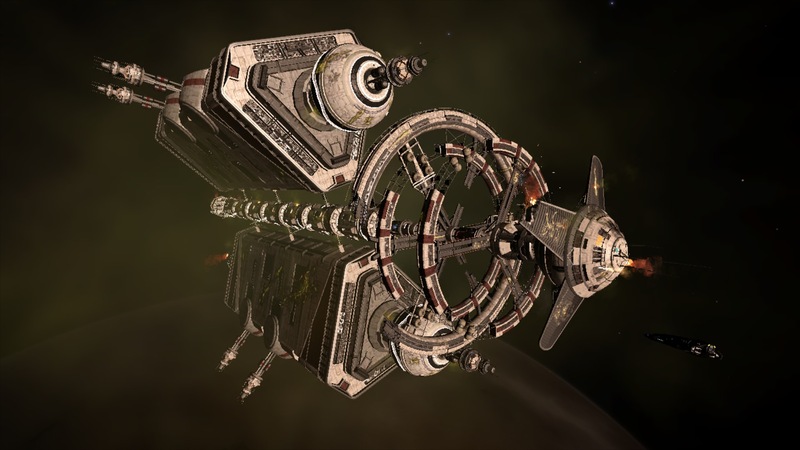 595.2 T Tauri - L - Asteroid Stations Hind Mine An asteroid station, 1,622 Ls from the entry star. Note that this system has its own nebula. See this gallery page for more information. 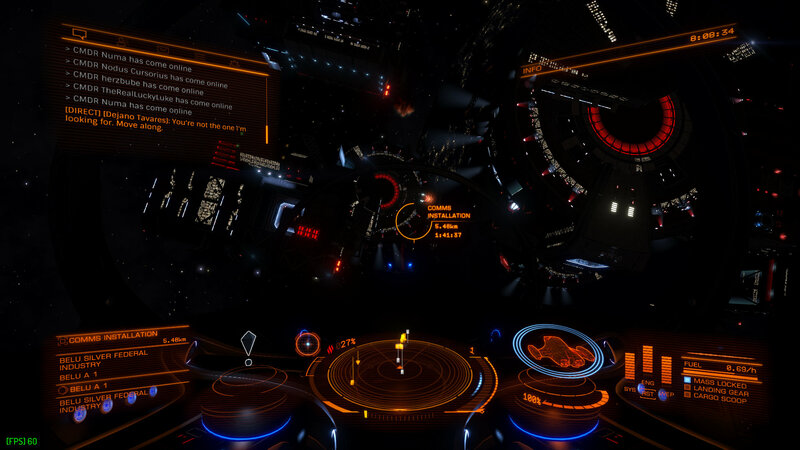 Sources(s): Cmdr PanPiper. 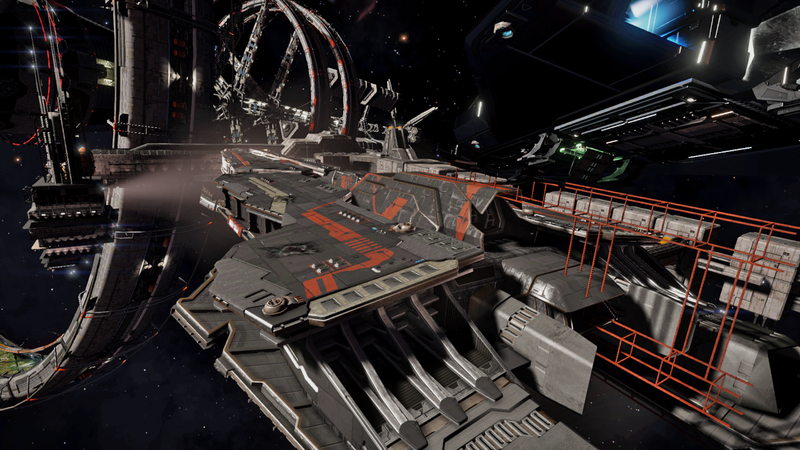 597.8 IC 4604 Sector FB-X c1-16 INRA Planet A 1 A GCS Sarasvati - early Thargoid lookout megaship. See the logs here. 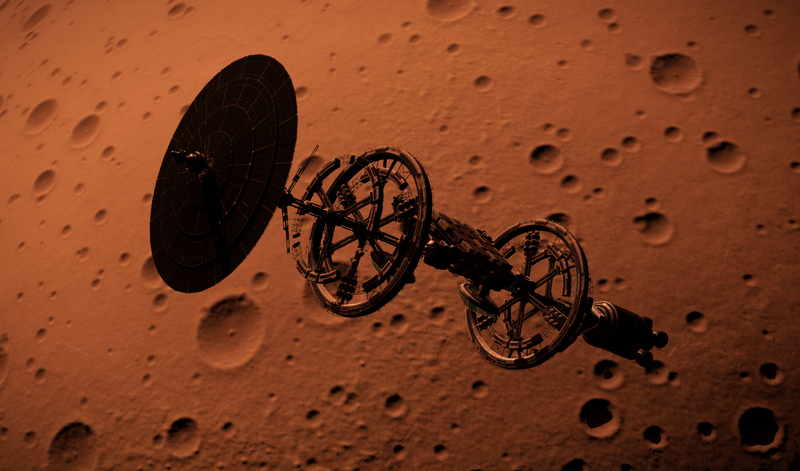 624.4 Col 359 Sector RN-S c4-12 Abandoned Station A 1 (-23.8994, -95.1066) There is an abandoned planetary settlement "Medical Research Base BJI-86"; on this planetary object at -23.8994, -95.1066. Engineering materials are known to spawn here. 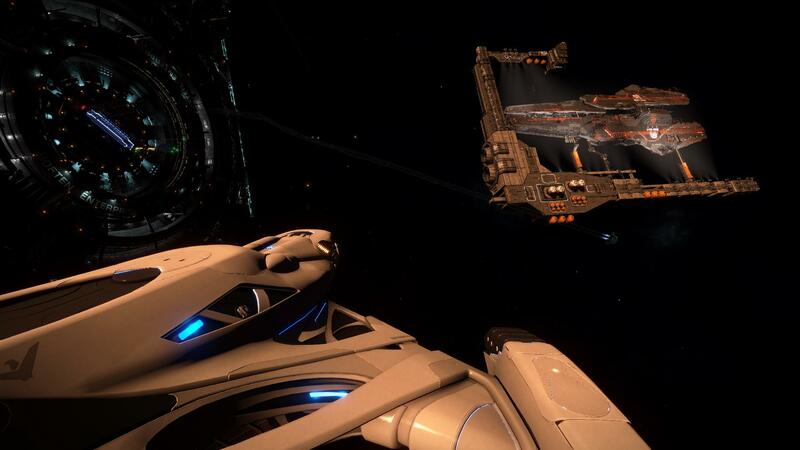 Check out CMDR Scott's Page for more details. 661.9 Synuefai LX-R d5-28 - M - Explorers A far out inhabited system on the way to the California Nebula. There are 2 stations here. 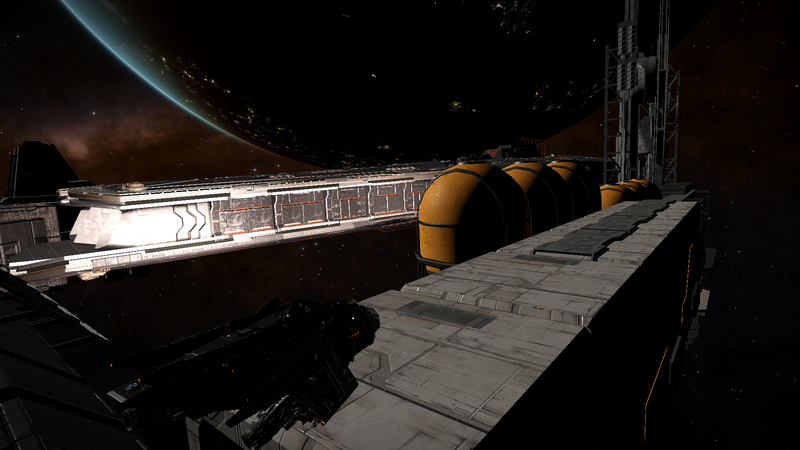 Agricultural Orbis station New Beaumont Dock is here and has a Shipyard, Outfitting and full RRR facilities. 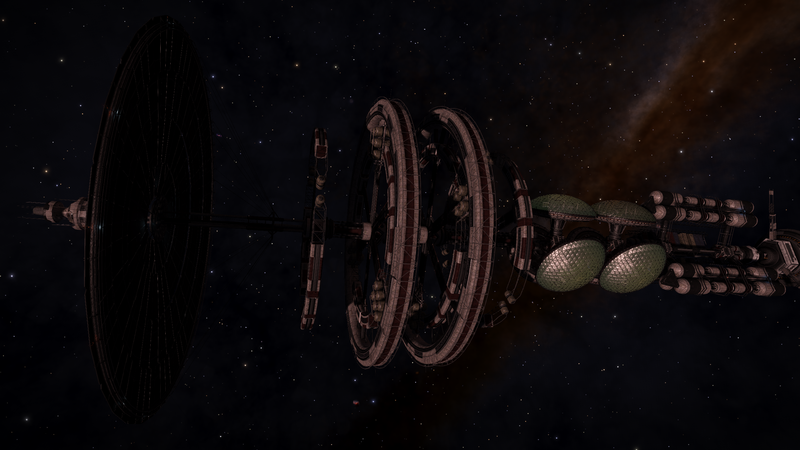 The other station, Perseus Hold, is planetary and is also an Agricultural station and the only planetary station I know of with an Agricultural based Commodities Market (this could be a bug). 669.9 Wregoe VK-E c12-0 Surface structures B1 (lat: -65,8616, lon: 32.5213) Columbus Expedition Camp 14. 670.6 Synuefe QA-U d4-27 Surface structures A1 (lat: 43.5393, lon: -134.2668) A Pirate Cache. See this image. 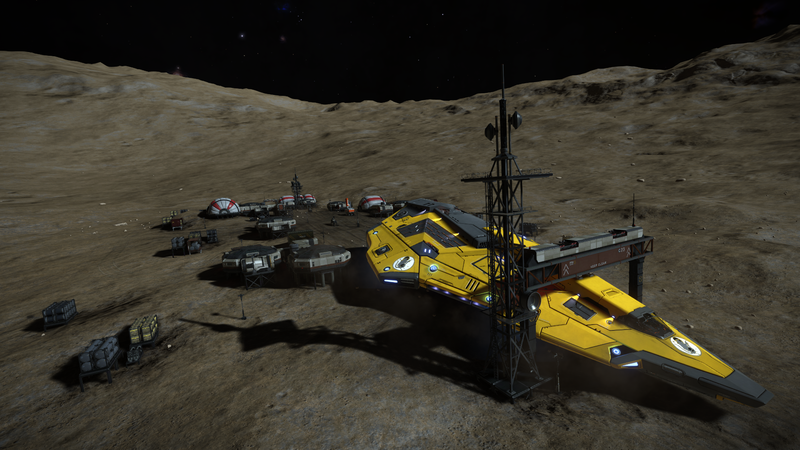 692.5 Chi Hydrae Hi-g-Landers chi Hydrae A 7 High g planetary landing challenge. Planet 'chi Hydrae A 7' (1357 Ls from arrival star) has a gravitational pull of 8.721192g, that is 8.721192 times that of earth. Try to land without splatting your spaceship. 736.3 Alnitak Miners One of the brightest stars in the night sky. An 'O' type star. 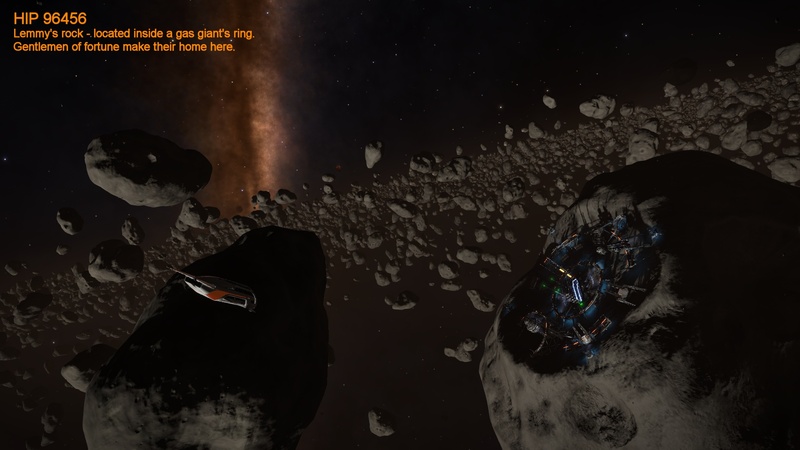 Bring your mining gear, there is a goliath pristine metallic ring here, within which there are beautiful views of the class Y dwarf star bubbling away in the background. 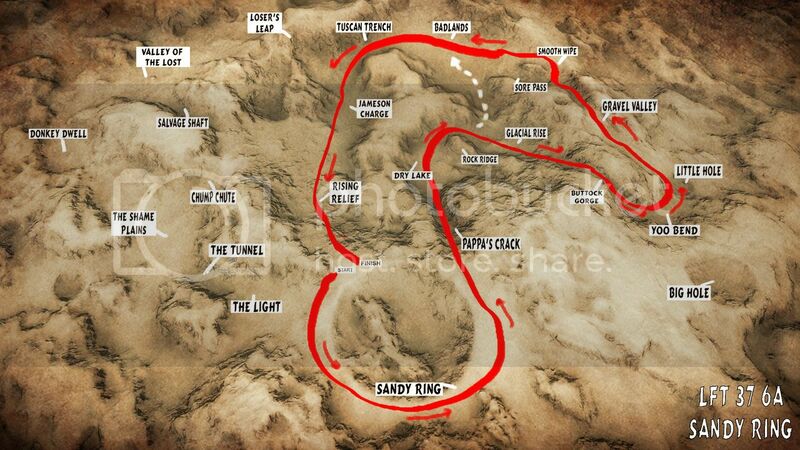 The PMR ring is the inner one and between the goliath inner and outer rings there are the three moons. The inner (pristine metallic) ring is over 1000000 km from inner radius to outer radius and the outer one (metal rich) is over 21000000 km. 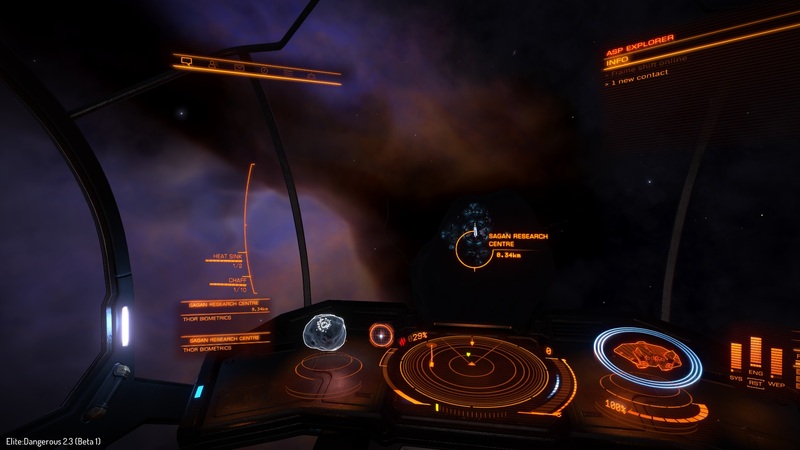 Another goliath PMR ring of Mintaka (another 'O' star) is also not to far away either (about 56 Ly). See this page for more details. 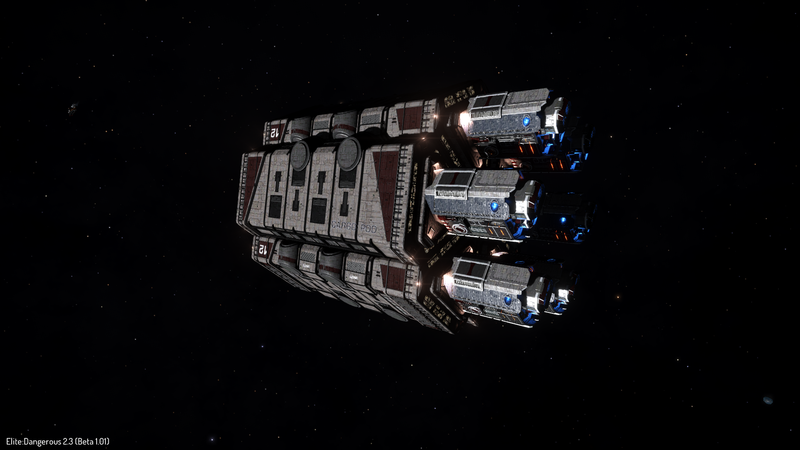 818.5 Synuefai EB-R c7-5 - M - Explorers A far out inhabited system on the way to the California Nebula. 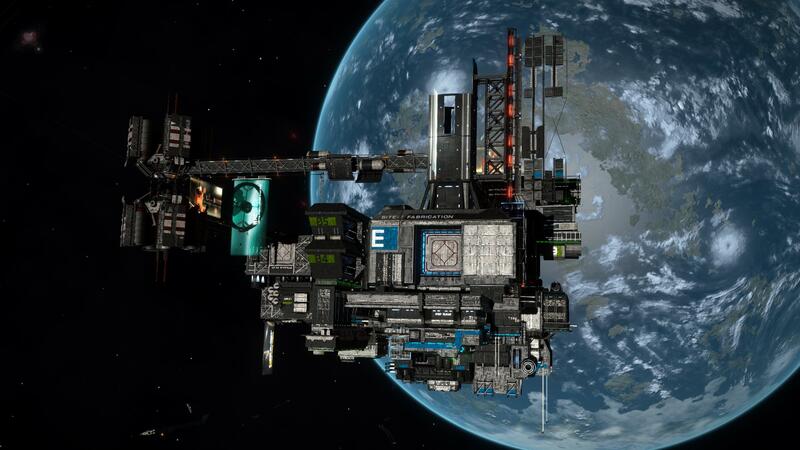 An extraction based Orbis station California Gateway is based here. Unfortuneately it has no Shipyard but does have outfitting and full RRR facilities. There are a number of RESs in the system including a HAZ-RES and 2 HI-RES not far from the station. When last checked (July 2018), the station had no standard missions (except donation missions) but plenty of passenger missions. 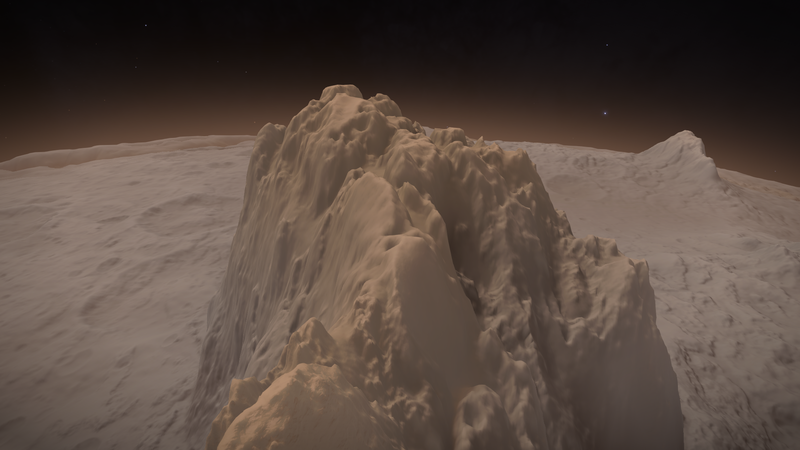 It is quite a boring area (IMHO) of space most of the nearby systems consist of stars only, and there are very few pristine metallic mining spots nearby. 901.0 28 Eta Orionis Hi-g-Landers 28 Eta Orionis 3 High g planetary landing challenge. Planet '28 Eta Orionis 3' (624 Ls from arrival star) has a gravitational pull of 6.581331g, that is 6.581331 times that of earth. Try to land without splatting your spaceship. 969.9 California Sector JH-V c2-12 - M - Megaships Thomas Class Bulk Cargo Ship KS-92. See this image. 1100.0 BD-12 1172 - A - Explorers The beautiful Spirograph Nebula, see this gallery for some teasers. 1186.1 Synuefai FV-U b20-0 Surface structures 2A (lat: -34.0563, lon: -140.7461) Extraction Site V-81. See this image. 1227.4 Swoilz FG-V d3-14 Hi-g-Landers Swoilz FG-V d3-14 3 High g planetary landing challenge. Planet 'Swoilz FG-V d3-14 3' (41 Ls from arrival star) has a gravitational pull of 7.882832g, that is 7.882832 times that of earth. Try to land without splatting your spaceship. 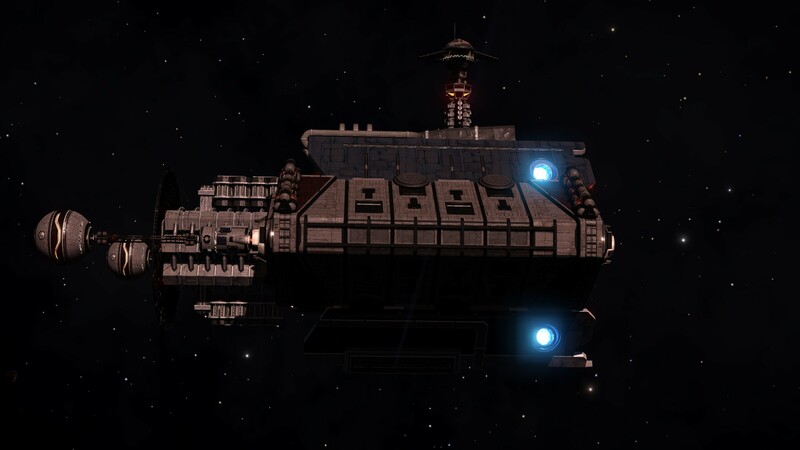 1232.1 Col 173 Sector LJ-F c12-0 Megaships The Cete (Professor Melville's megaship). See this [video]. 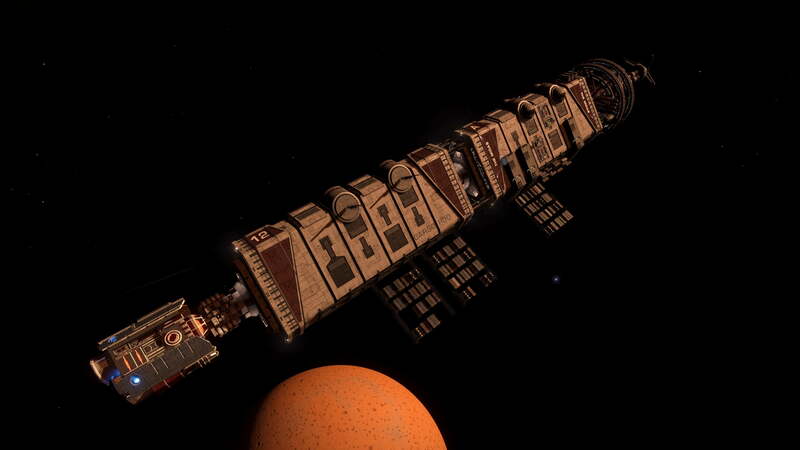 1261.1 Synuefe FE-S b46-0 - A - Roaming Megaship The Gnosis on EDDB The Gnosis, a dockable megaship, originally based in Varati. Moves to different systems, usually on a weekly basis. See the flight plan on ED Wikipedia. The best way to find it is through the given EDDB link (although even this is not always up to date!). Check for the location at both websites as either can be out of date. 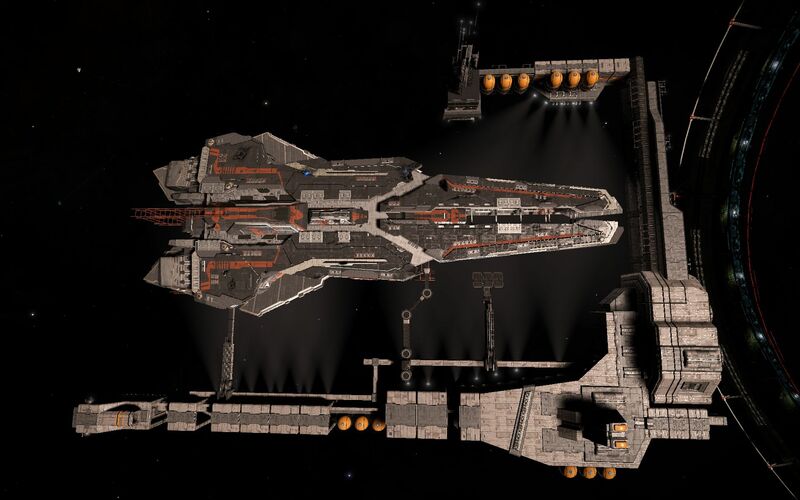 This is the Canonn's very own megaship. Has full RRR facilities, a commodities market (Hi-Tech) and outfitting (but no Shipyard). 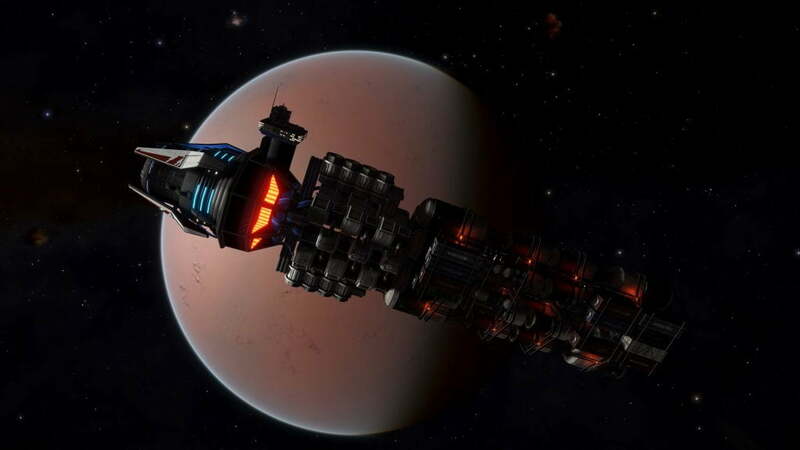 Further trips are planned, just make sure you are docked in it on the transfer day and you and your ship will be transferred with it. 1538.5 HD 78344 Explorers Body 7 a 3,599 Ls from the arrival star. 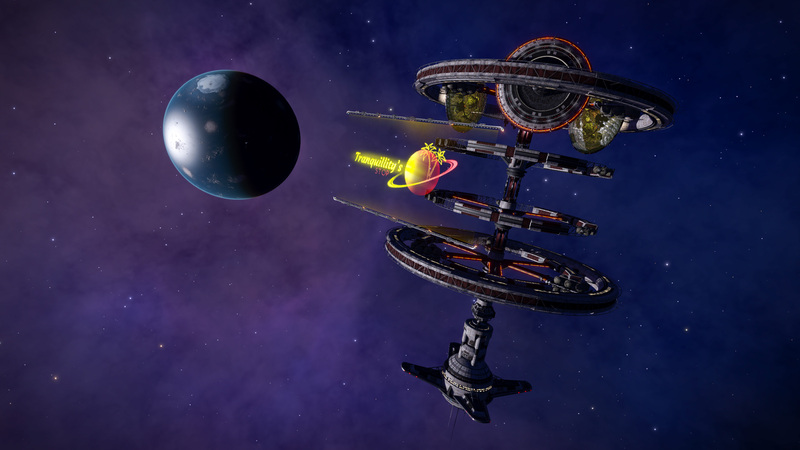 A ringed neutron star, very rare as shown here. 1976.8 Epsilon Orionis Hi-g-Landers Epsilon Orionis AB 2 High g planetary landing challenge. Planet 'Epsilon Orionis AB 2' (2499 Ls from arrival star) has a gravitational pull of 7.108163g, that is 7.108163 times that of earth. Try to land without splatting your spaceship. 2025.9 HD 82066 Hi-g-Landers HD 82066 6 High g planetary landing challenge. Planet 'HD 82066 6' (1681 Ls from arrival star) has a gravitational pull of 6.203763g, that is 6.203763 times that of earth. Try to land without splatting your spaceship. 2805.5 NGC 7822 Sector BQ-Y d12 - L - Asteroid Stations Gorgon Research Facility An asteroid station, 1,803 Ls from the entry star. See this image. Sources(s): The New Number Two. 3663.6 Thor's Helmet Sector FB-X c1-5 - L - Asteroid Stations Sagan Research Centre An asteroid station, 2,145 Ls from the entry star. See this image and [video]. 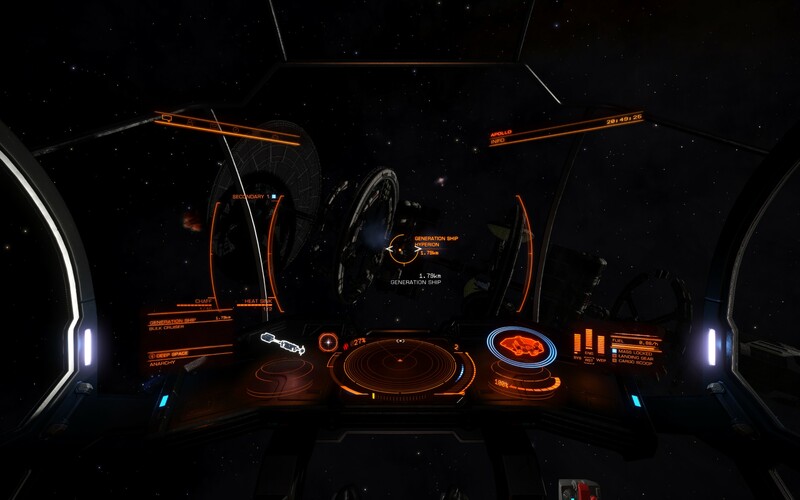 Sources(s): Cmdr PanPiper. 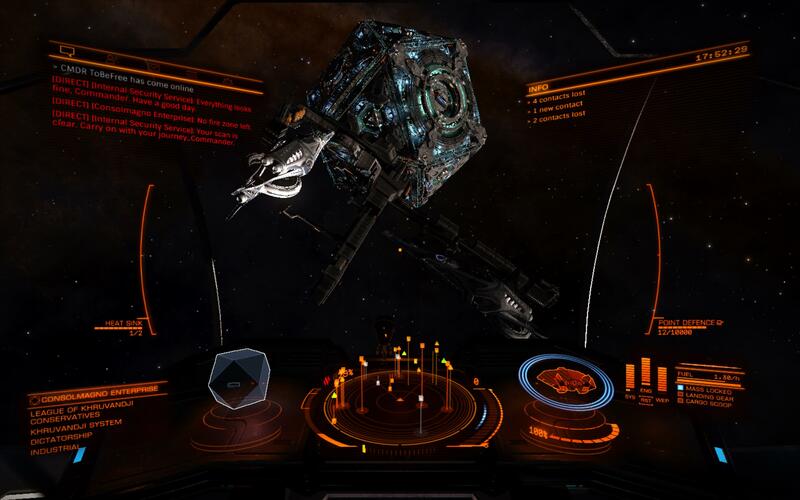 3752.9 Seagull Sector DL-Y d3 - A - Asteroid Stations Hell Port An asteroid station, 10,691 Ls from the entry star. See this image and this [video]. 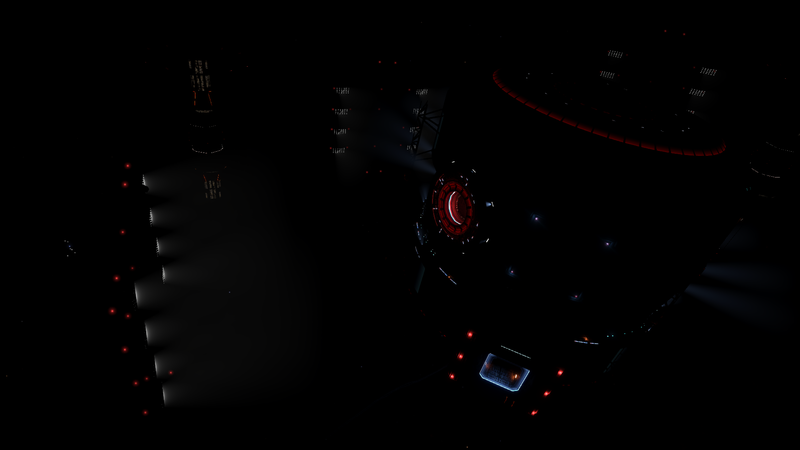 Sources(s): Cmdr PanPiper. 4510.9 Lagoon Sector FW-W d1-122 - L - Asteroid Stations Attenborough's Watch Shown in this video. 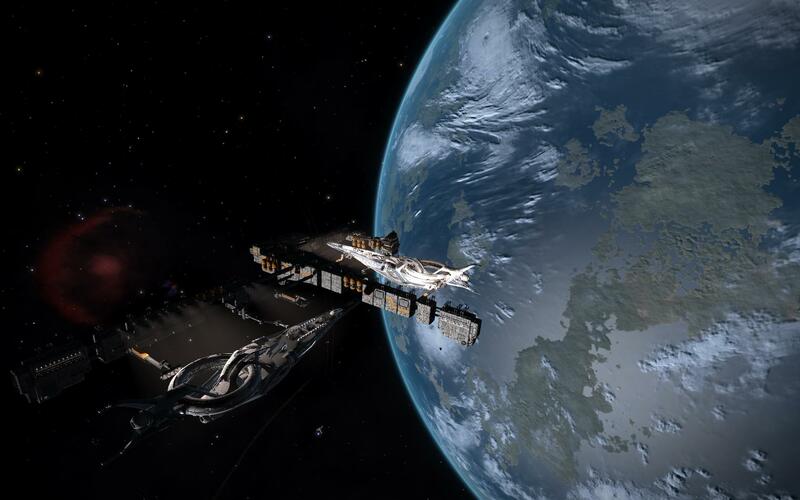 Sources(s): Cmdr PanPiper. 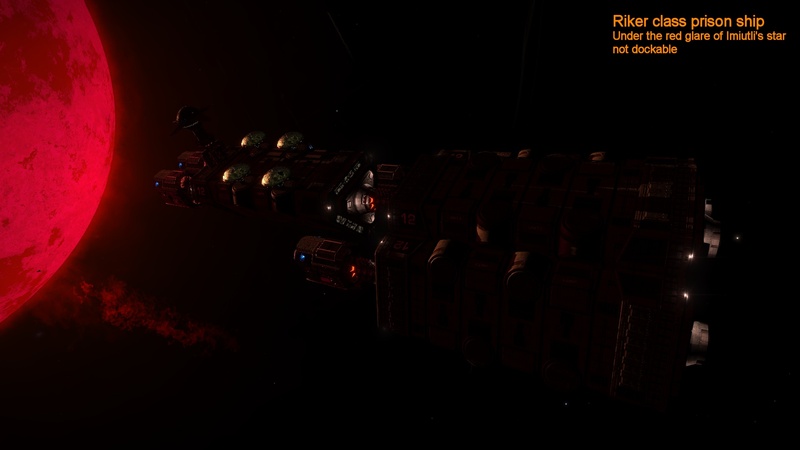 5303.0 Rosette Sector CQ-Y d59 - M - Asteroid Stations New Beginning An asteroid station, 1,699 Ls from the entry star. Shown in this video. 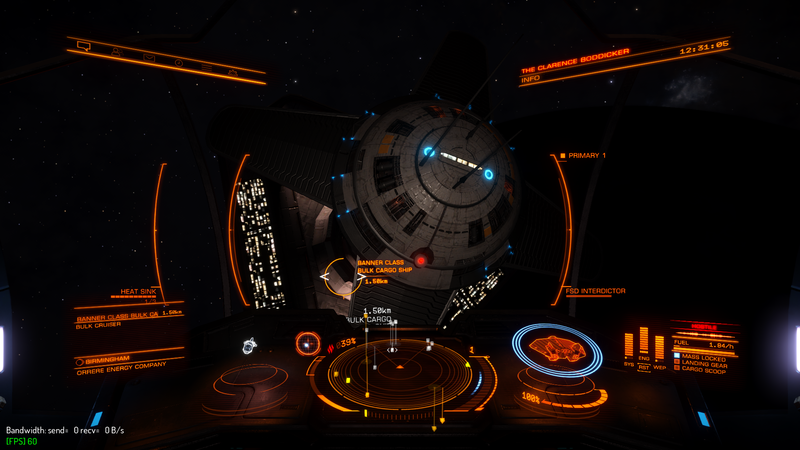 Sources(s): Cmdr PanPiper. 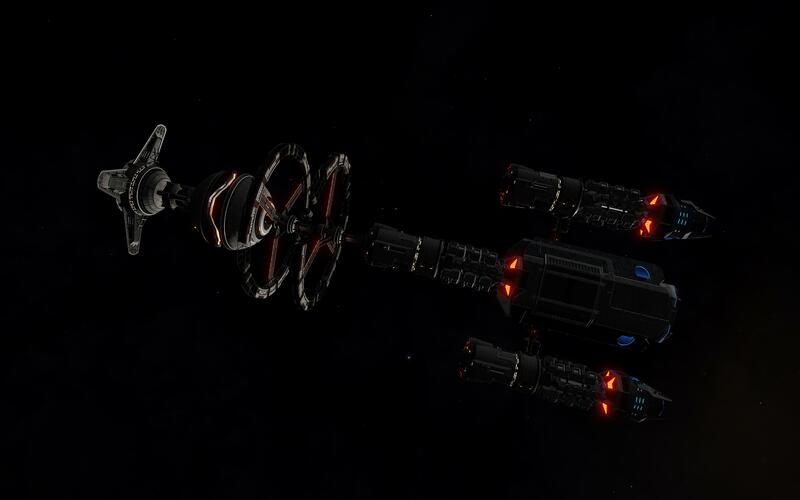 5513.2 Omega Sector VE-Q b5-15 - M - Asteroid Stations Omega Mining Operation An asteroid station, 1,120 s from the entry star. 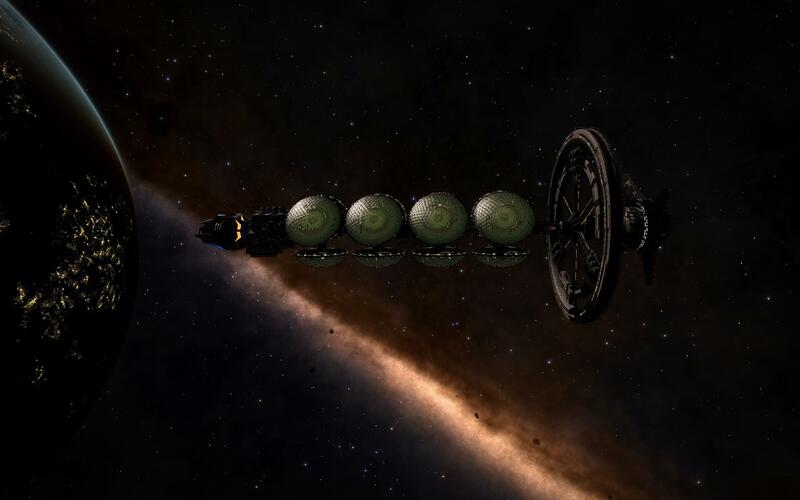 A station on the way to Colonia. 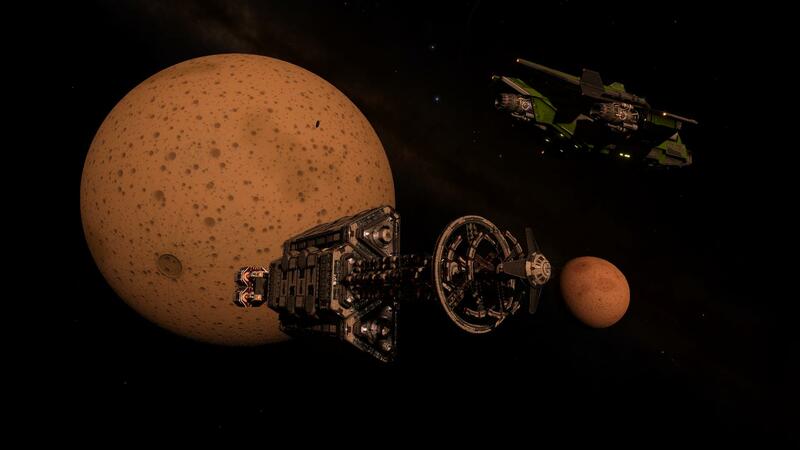 7005.9 Crab Sector DL-Y d9 - M - Asteroid Stations. 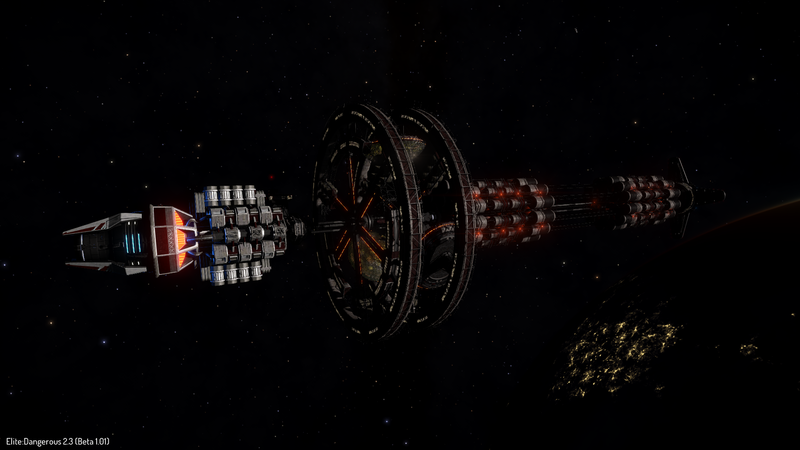 Station X An asteroid station, 12,081 Ls, from the entry star. 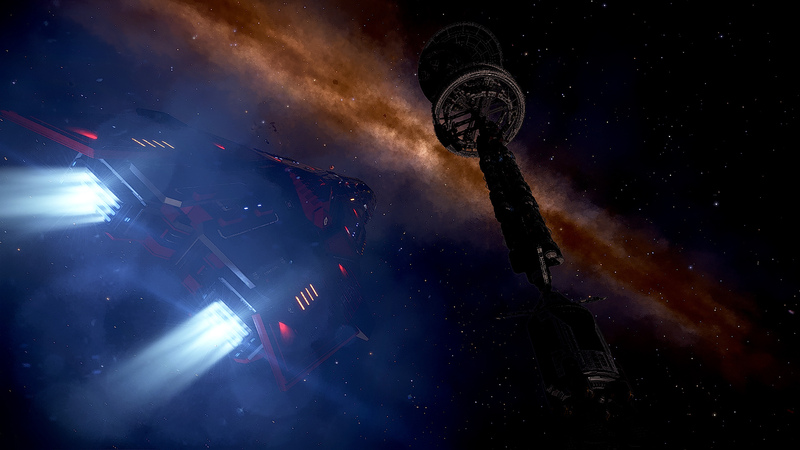 A far out station on the edge of the galaxy, in the crab nebula, just over 7000 Ly from Sol. 7006.2 Eagle Sector IR-W d1-105 - H - Asteroid Stations Eagle Sector Secure Facility An asteroid station, 1,078 Ls from the entry star. 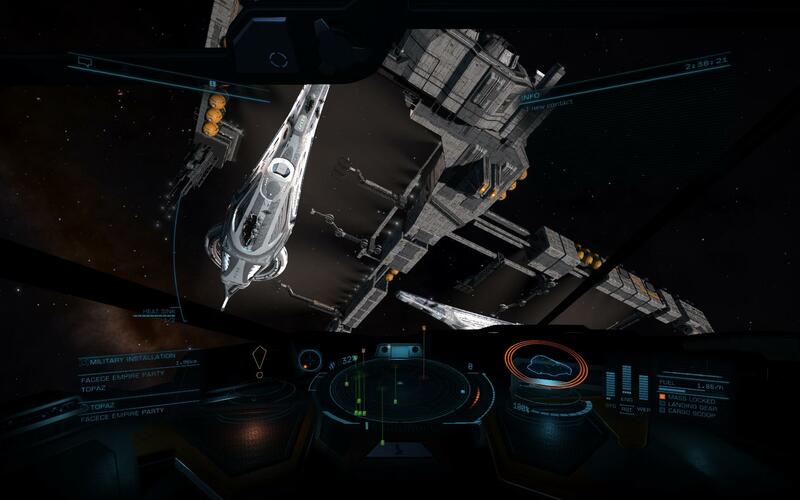 Shown in the video here, Sources(s): Cmdr PanPiper. 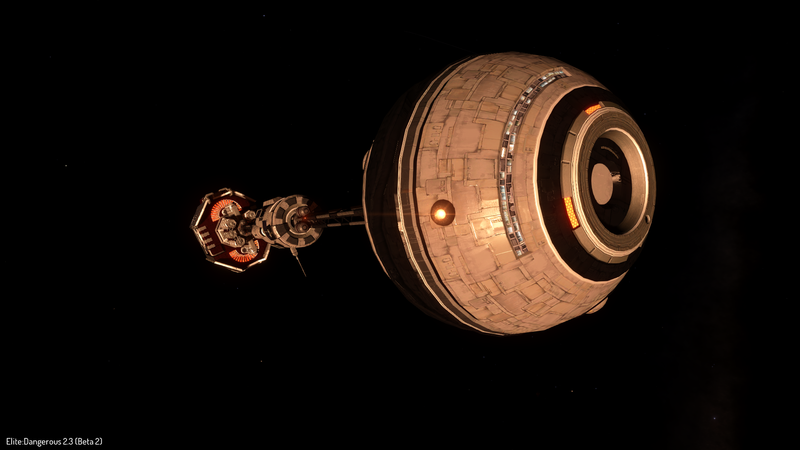 8306.1 Eafots RA-G b11-0 Surface structures 3 (lat: -17.8739, lon: -76.052) Formidine Rift Gamma. See this image. 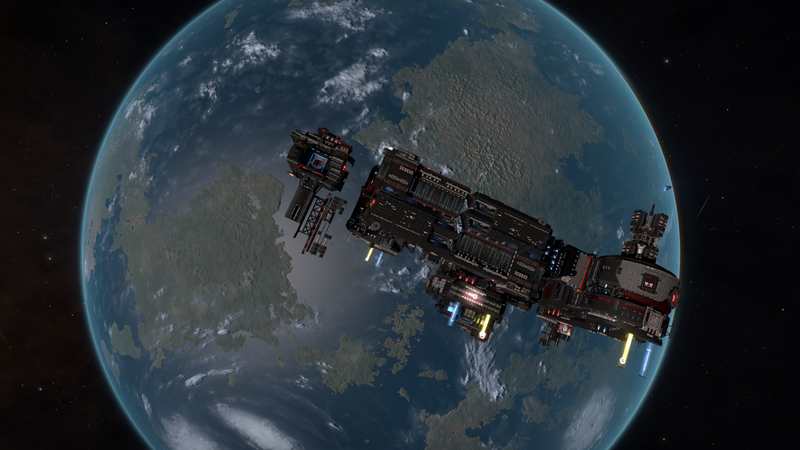 8318.6 Eafots LZ-H b10-0 Surface structures D1 (lat: -23.0615, lon: -174.8785) Formidine Rift Beta. See this image. 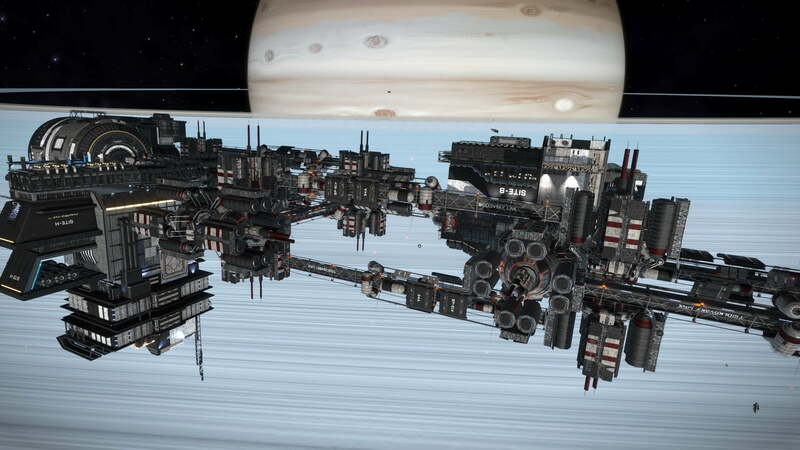 8328.5 Eafots EU-R c4-1 Surface structures C2 (lat: -34.2070, lon: -77.6690) Formidine Rift Alpha. See this image. 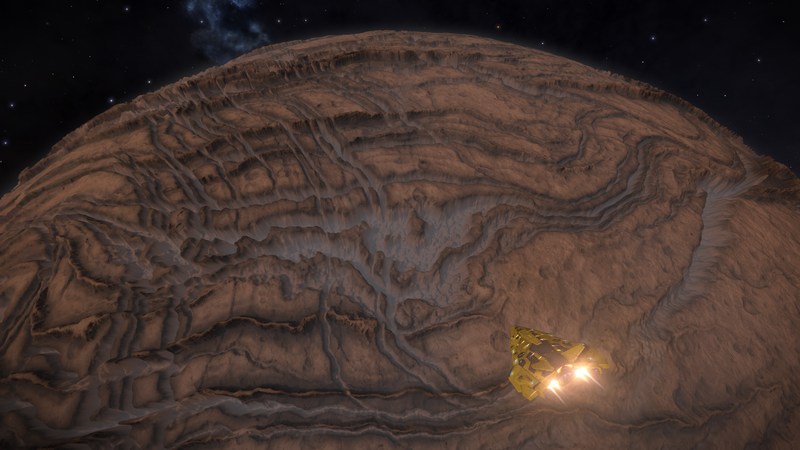 8351.8 Eafots GL-Y e2 Surface structures 6 (lat: 21.2752, lon: 19.066) Formidine Rift Delta. See this image. 10440.5 Eafoff LN-Q d6-0 Green Gas Giant Planet 1 GGG 7. A glowing green gas giant. See this link. 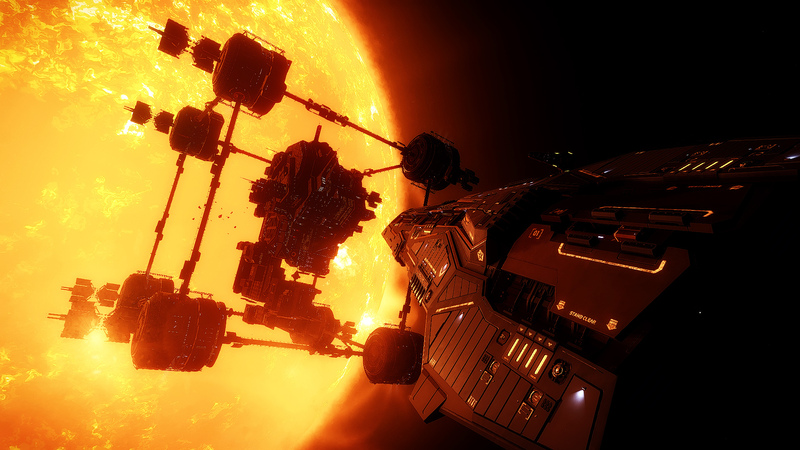 The arrival star in this system is a neutron star. 11569.3 Skaude AA-A h294 Ringed Neutron Star Collection of Wonders. 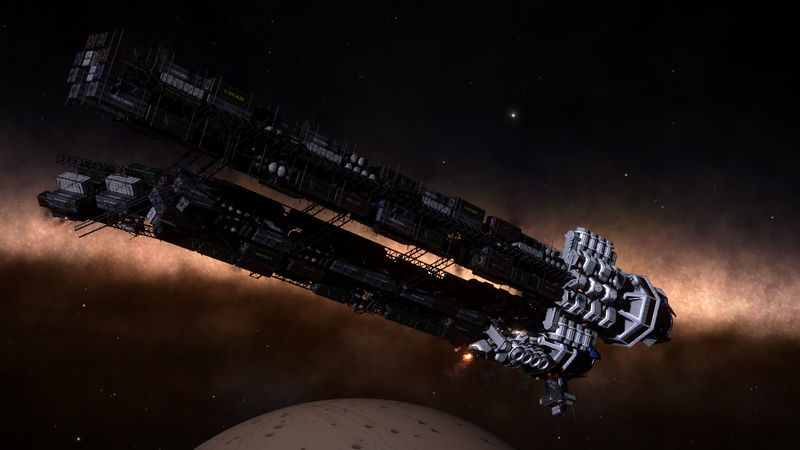 Among other wonders, this system has a ringed Neutron star. See this wiki page. 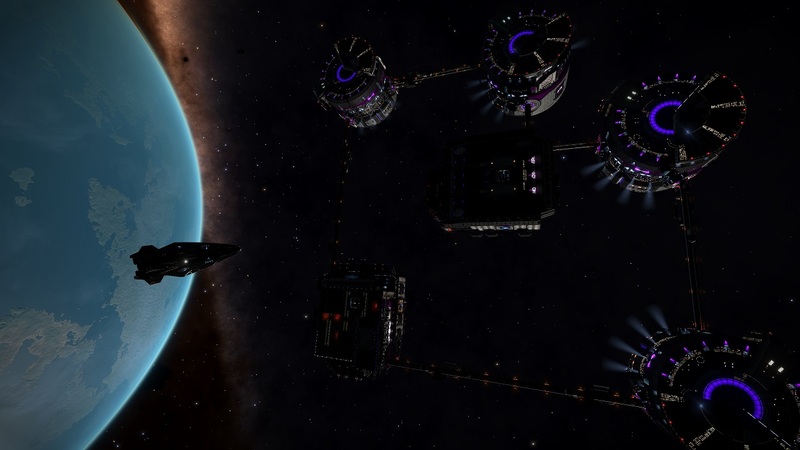 The system contains a ringed neutron star, a ringed white dwarf, two black holes and a ringed M class star Source(s):See this Reddit page. 11773.2 Skaudai AM-B d14-41 Hi-g-Landers Skaudai AM-B d14-41 1 High g planetary landing challenge. Planet 'Skaudai AM-B d14-41 1' (30 Ls from arrival star) has a gravitational pull of 6.36869g, that is 6.36869 times that of earth. Try to land without splatting your spaceship. 12082.9 Syreadiae JX-F c0 Megaship Zurara A non-dockable Formadine Rift megaship. 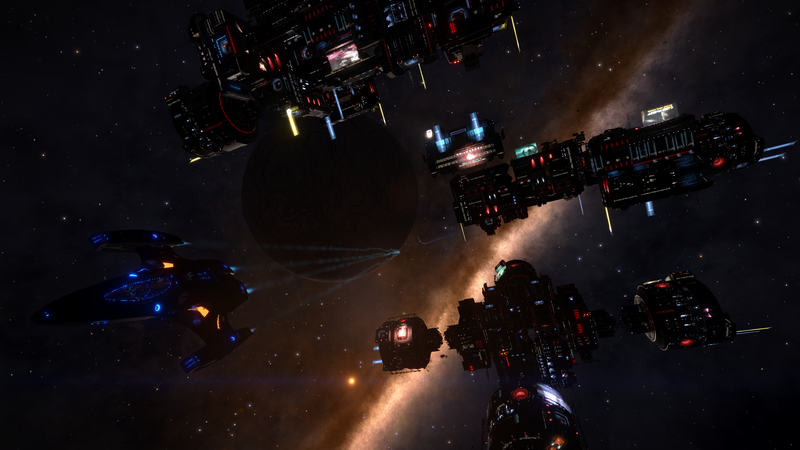 See this image image Sources(s): Cmdr EfilOne. 12512.8 Xeehia GT-G d11-8 Pink Gas Giant A 1 A glowing pink gas giant. See this link for lots of information and images. Also see this EDSM page. 13376.2 Clooku QS-S d4-145 Pink Gas Giant Body 1 A very bright pink gas giant. See this link for lots of information and images. 16027.2 Blua Eaec VO-Z e541 Hi-g-Landers Blua Eaec VO-Z e541 1 High g planetary landing challenge. Planet 'Blua Eaec VO-Z e541 1' (909 Ls from arrival star) has a gravitational pull of 6.766436g, that is 6.766436 times that of earth. Try to land without splatting your spaceship. 16115.6 Gru Phio EL-Y e21 Glowing White Gas Giant A glowing white giant. A gas giant so hot that it shines white like a star. See this link. 19691.9 Voqua AA-A h177 Ringed Neutron Star This system has a ringed Neutron star. 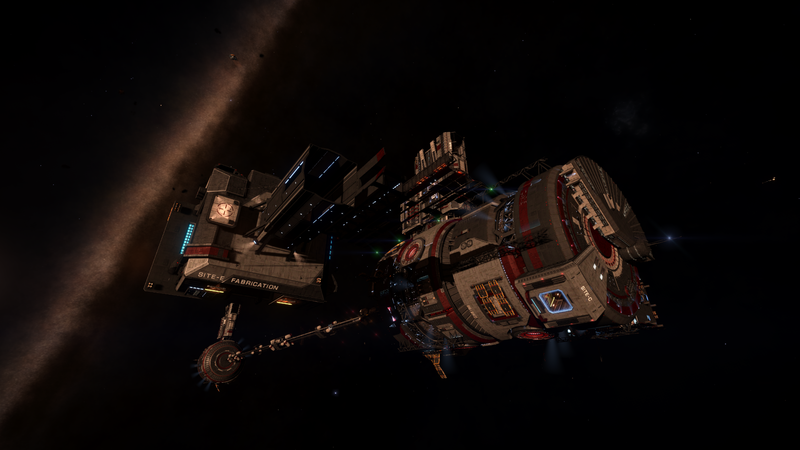 Not far from Colonia, as the intergalactic crow flies. See this web page. Seems there is also a ringed star and several black holes here. 20597.6 Theau Pri FB-W e2-25 Pink Gas Giant Body C 1 A glowing pink gas giant. An interesting system with 3 main Stars, A : Neutron star; B : White Dwarf (DC) and C : Neutron Star, with a total of 9 other bodies. What stands out is body C 1, a Class V gas giant with a bright pink color. See this link. 21320.1 Schienia AA-A h158 Hi-g-Landers Schienia AA-A h158 ABC 2 High g planetary landing challenge. Planet 'Schienia AA-A h158 ABC 2' (1074 Ls from arrival star) has a gravitational pull of 9.235496g, that is 9.235496 times that of earth. Try to land without splatting your spaceship. 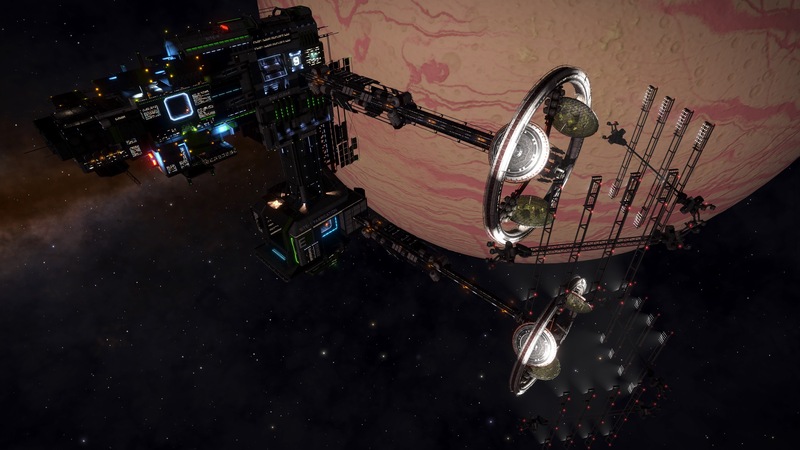 21338.2 Shrogea MH-V e2-1763 Space installations near Colonia Space bar. See this image. 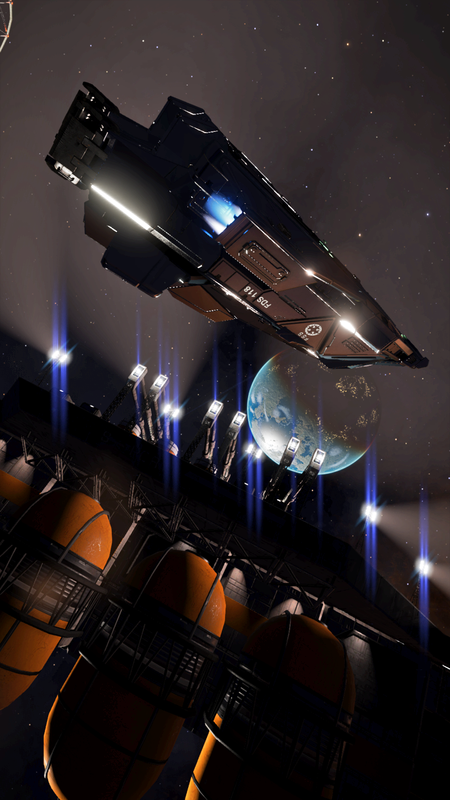 22000.5 Colonia - L - Explorers Formely known as the eloquently named system 'Eol Prou RS-T d3-94'. 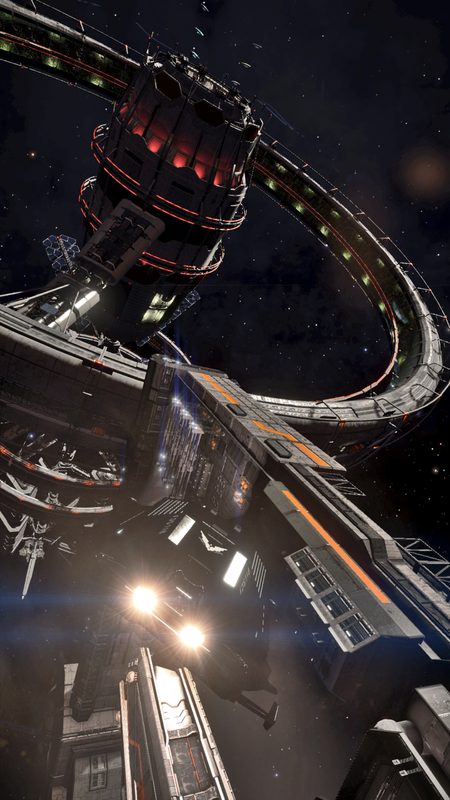 The system contains the unique travelling station, 'Jaques Station' and is a great stop off point for explorers. 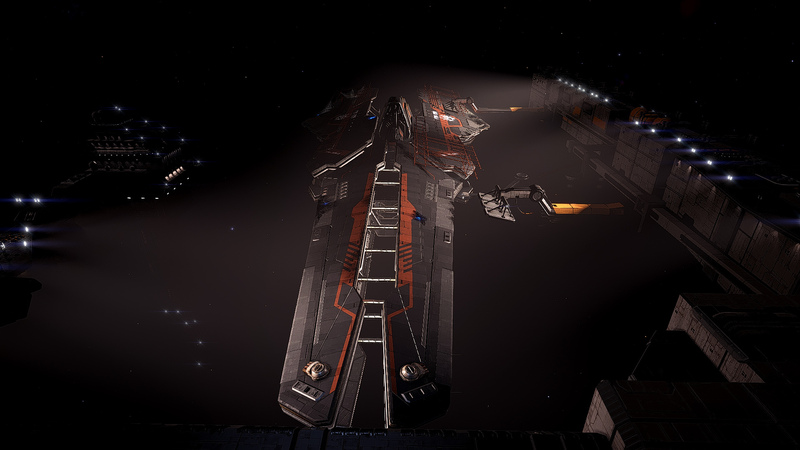 There are several inhabited systems in this area and this system itself lies in the nebula glamourously known as 'Eol Prou AA-A h89' (looks like it was named in Thargoid). 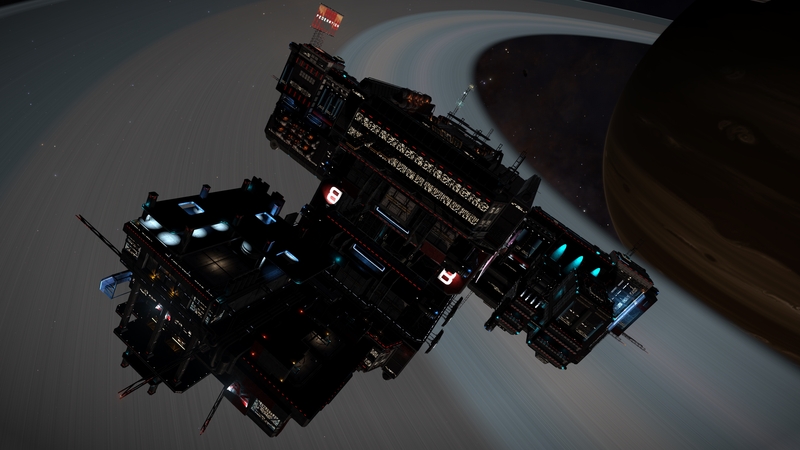 This system also contains a pristine metallic ring, the A ring of planet 4. 22006.0 Eol Prou KW-L c8-32 Green Gas Giant Planet 4 GGG 4. 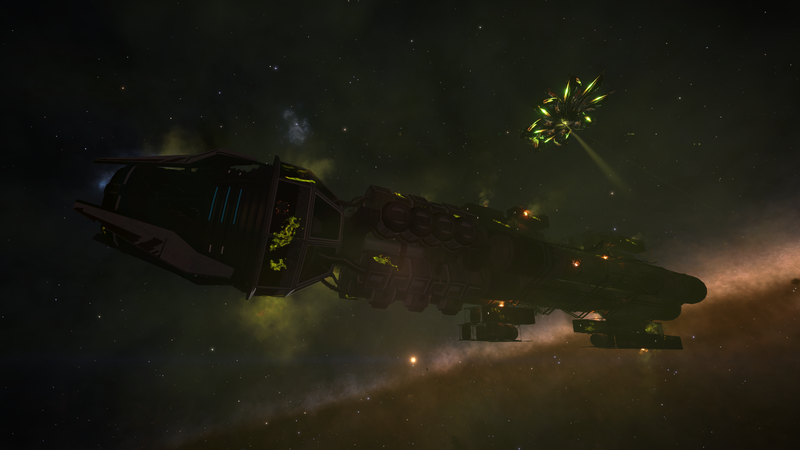 A glowing green gas giant: Eol Prou KW-L c8-32, Colonia region, only about 59.0 Ly from Jaques station in the Colonia system, see this link. 22013.5 Luchtaine - L - Asteroid bases Moore's charm. 22017.7 Carcosa - A - Asteroid bases Robardin's rock. 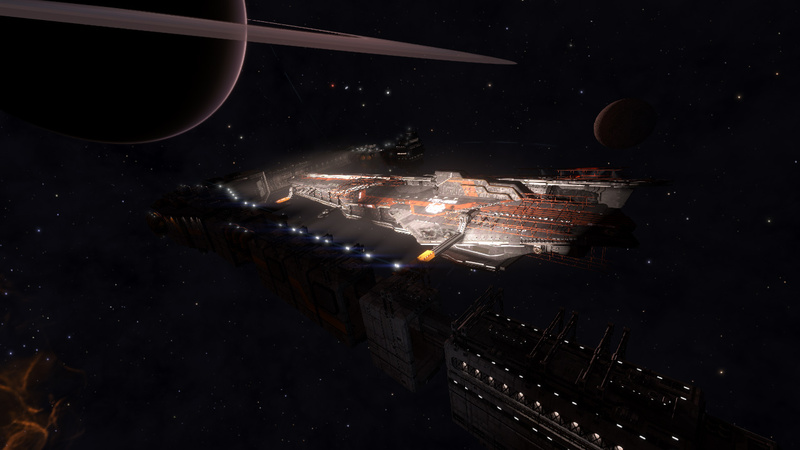 22028.0 Coeus - L - Megaships near Colonia Foster Terminal (dockable). See this image. 22289.4 Kyloall BF-A f2322 Explorers Planet AB 1 A glowing white giant. A gas giant so hot that it shines white like a star. See this link. 22678.1 Floasly TE-X d2-25 Green Gas Giant Planet B 1 GGG 6. A glowing green gas giant. See this link. 22820.5 Dryooe Prou FF-Z d696 Green Gas Giant Planet 5 GGG 8. 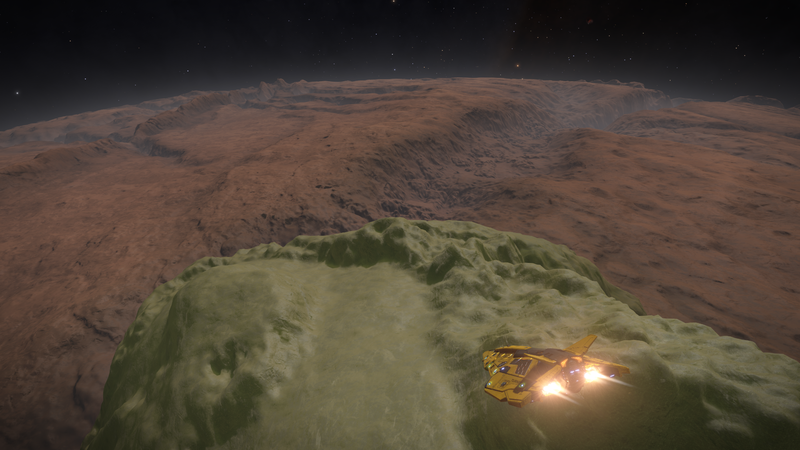 A glowing green gas giant. See this link. 23000.0 Great Annihilator Explorers Deep space Largest know black hole in the galaxy after Sagittarius A* (and not far from it). See this Wiki for more information. 23189.4 Egnaix XJ-Z e30 Pink Gas Giant Body 1 A glowing pink gas giant, AKA Heliotropeia Monoceratos. See this link for lots of information and images. Also see this EDSM page. 24932.7 Kyloalks DL-Y g17 Hi-g-Landers Kyloalks DL-Y g17 4 High g planetary landing challenge. Planet 'Kyloalks DL-Y g17 4' (1696 Ls from arrival star) has a gravitational pull of 9.888906g, that is 9.888906 times that of earth. Try to land without splatting your spaceship. This is the currently the highest known gravity for any landable body. 25900.0 Sagittarius A* Explorers Centre of the galaxy Super massive black hole at the centre of the milky way. 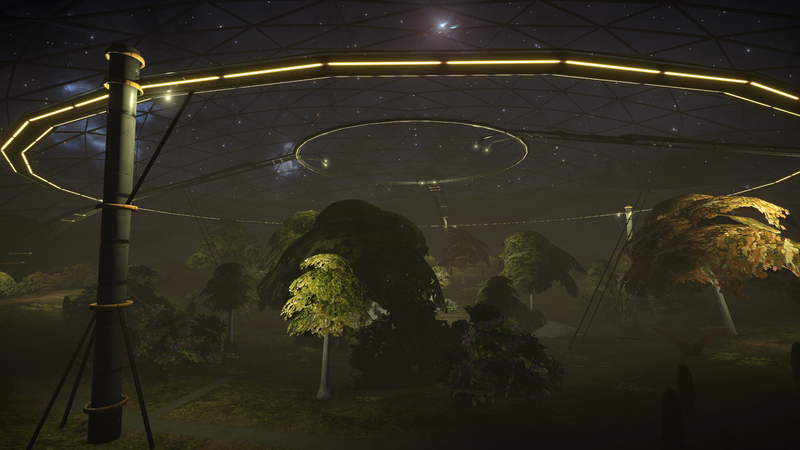 Worth about 620,000 CR in exploration value but a unique place in the game. 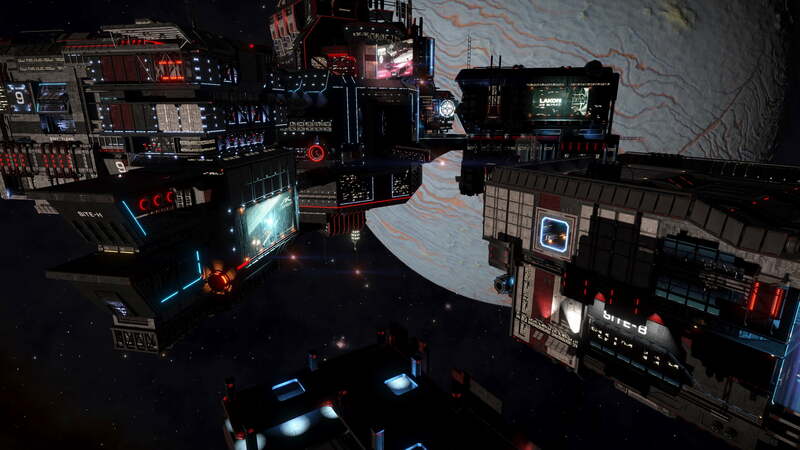 Obsidian Ant's video about it is here. 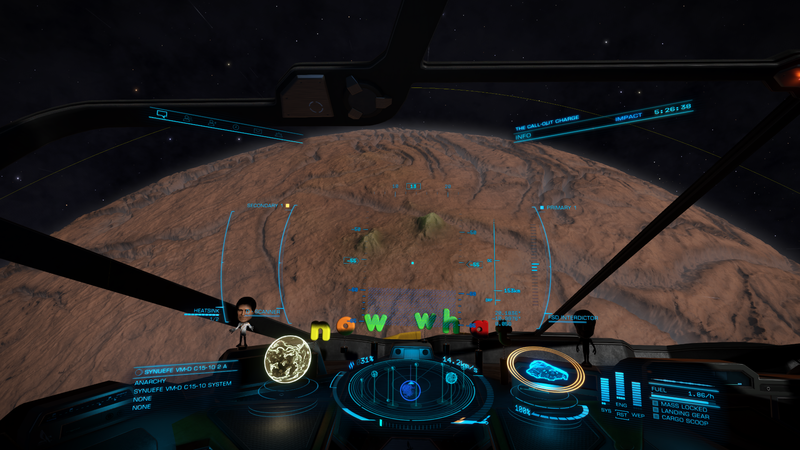 29286.3 Dryao Chrea GR-W f1-3453 Hi-g-Landers Dryao Chrea GR-W f1-3453 A 2 High g planetary landing challenge. Planet 'Dryao Chrea GR-W f1-3453 A 2' (1238 Ls from arrival star) has a gravitational pull of 6.64g, that is 6.64 times that of earth. Try to land without splatting your spaceship. 29873.3 Wrupu CW-N e6-68 Glowing White Gas Giant Planet A 1 A glowing white giant. A gas giant so hot that it shines white like a star. See this link.